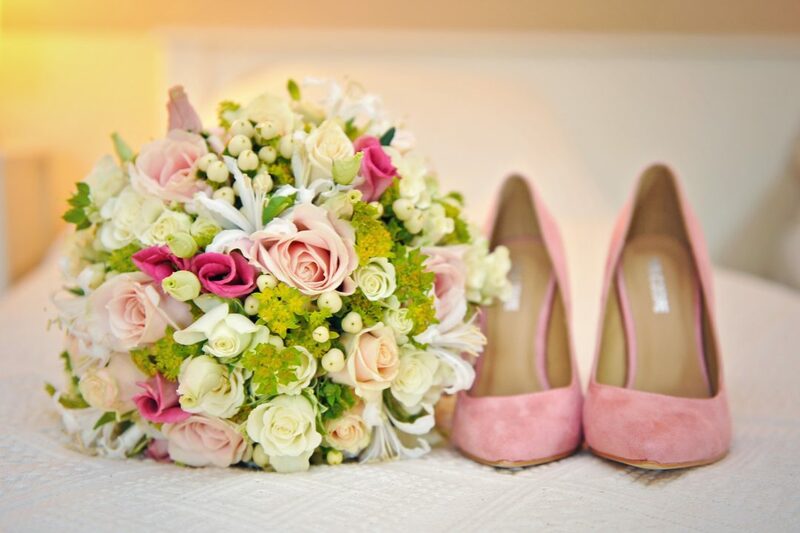 Your wedding day will be the best day of your life. 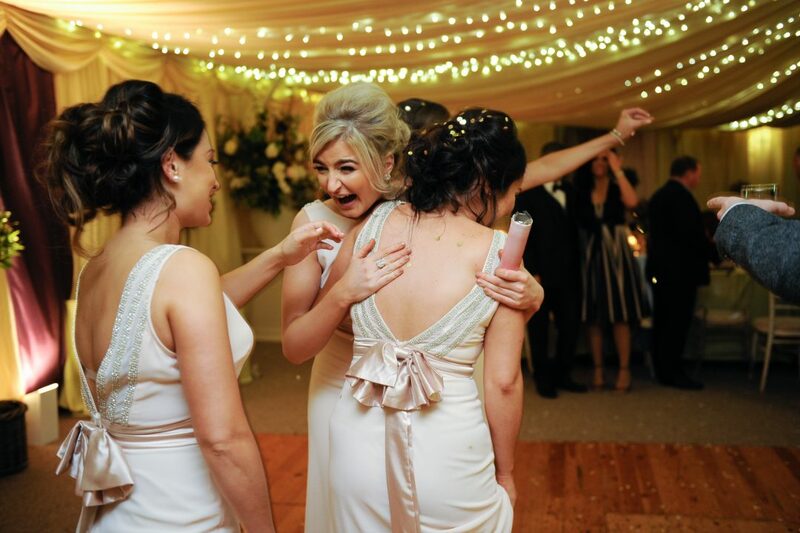 At Carfraemill we will make sure it's relaxed, fun and totally unique to you. 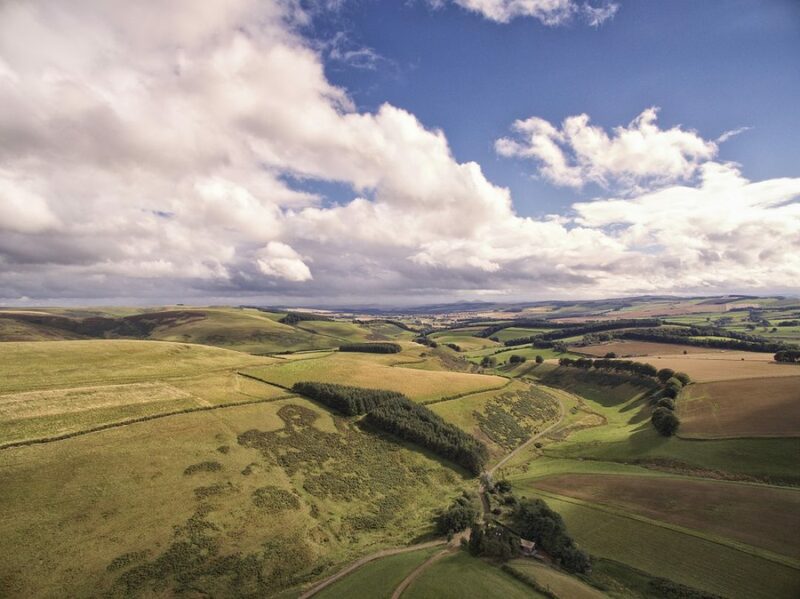 This is definitely a 'best-of-both-worlds' location - rural with a real sense of the remote amid the Lammermuir Hills, yet very easily accessible from the buzz of Edinburgh (just 30 minutes) and close to all of the gorgeous Scottish Borders towns. 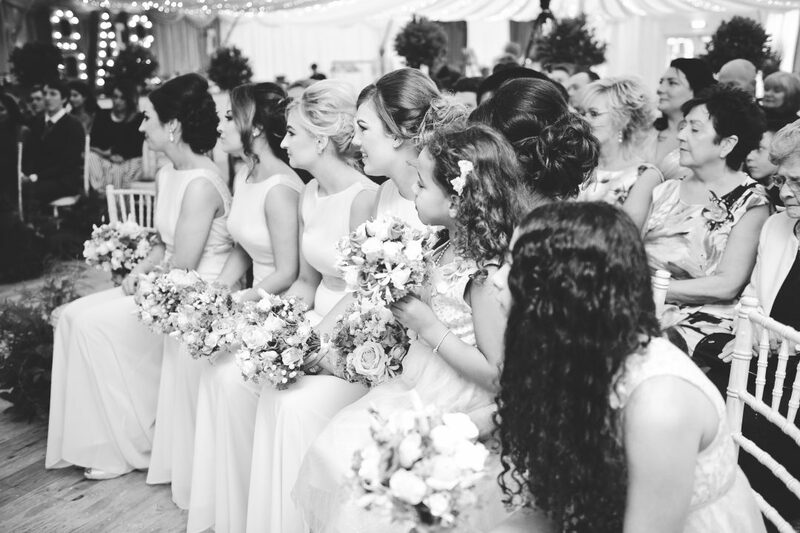 We love small, intimate weddings (as few as three guests!) 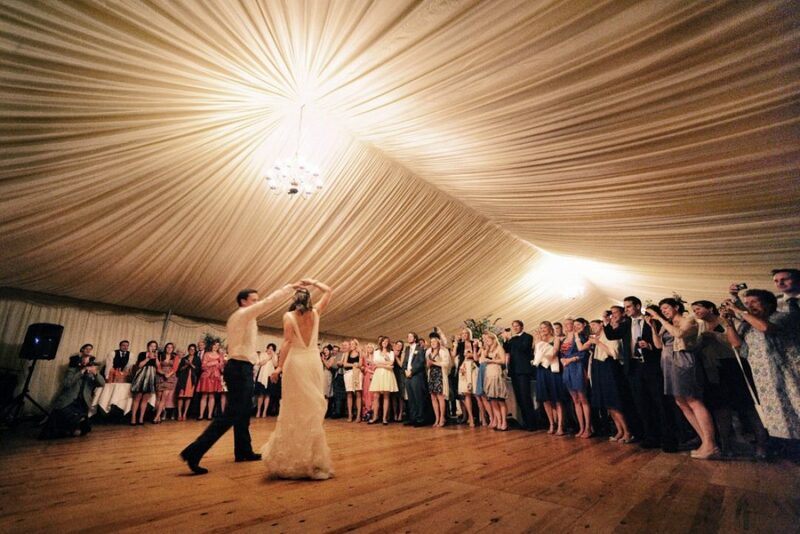 as much as we love full blown affairs, and can accommodate up to 300 guests. 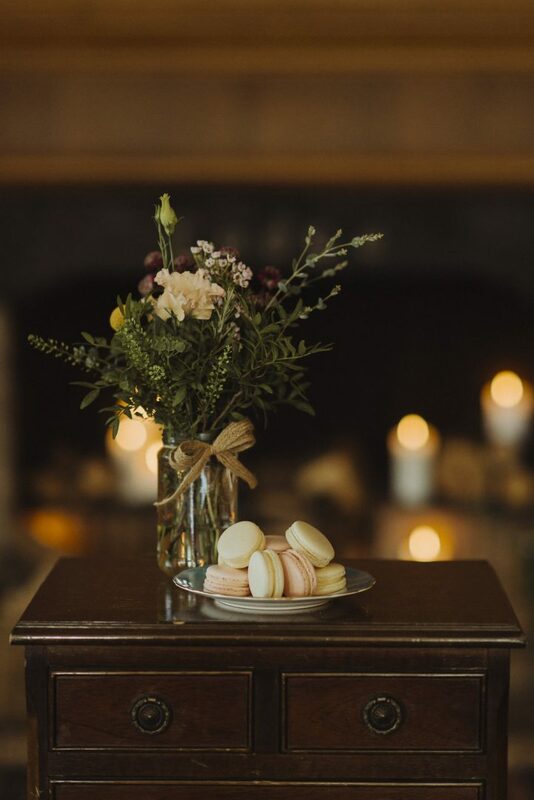 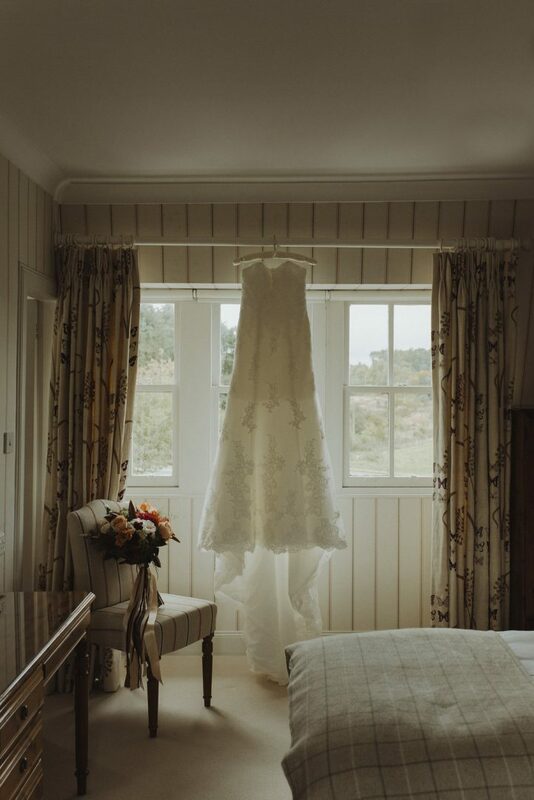 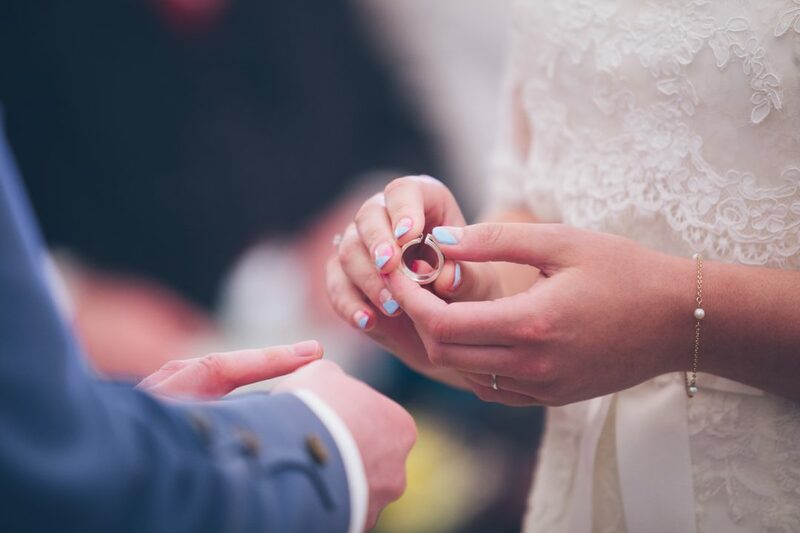 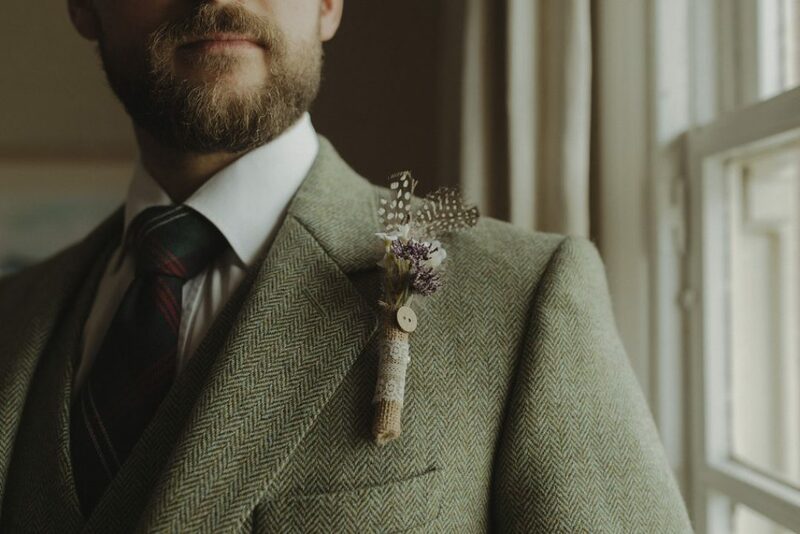 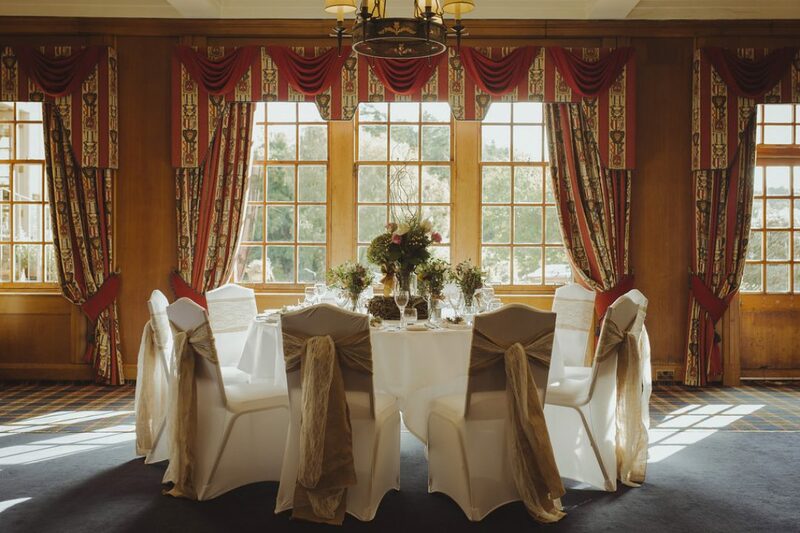 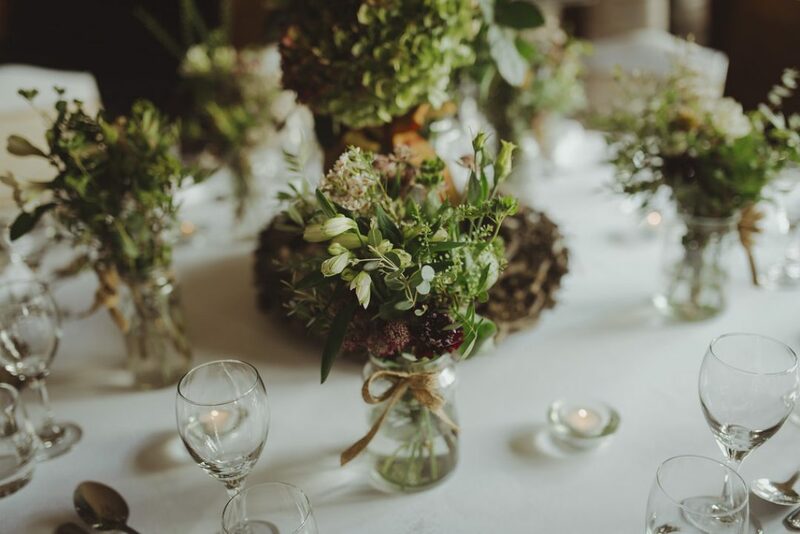 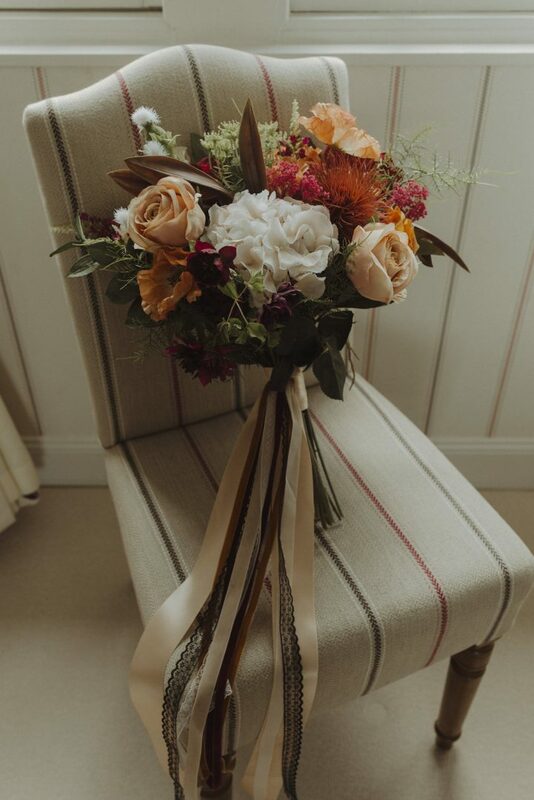 You can choose from our four wedding spaces to perfectly fit the style and scale of your day: our beautiful marquee, an oak-panelled reception room, a country-chic private room and an exclusive site on our hillside farm. 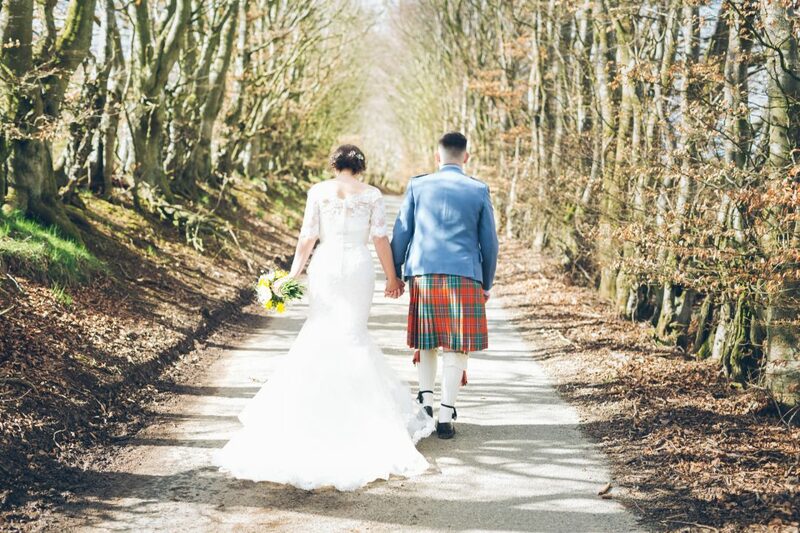 Please get in touch to request our wedding brochure. 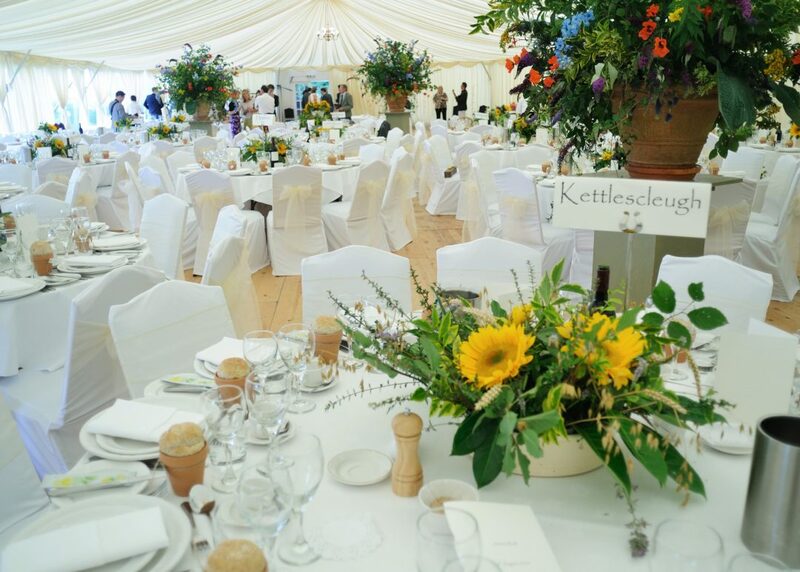 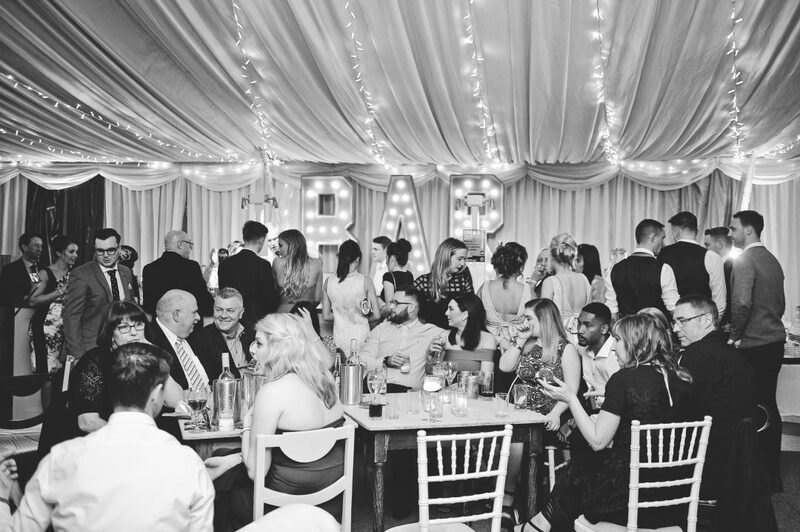 Our beautiful marquee is ideal for larger weddings as we can seat between 80 and 300 guests. 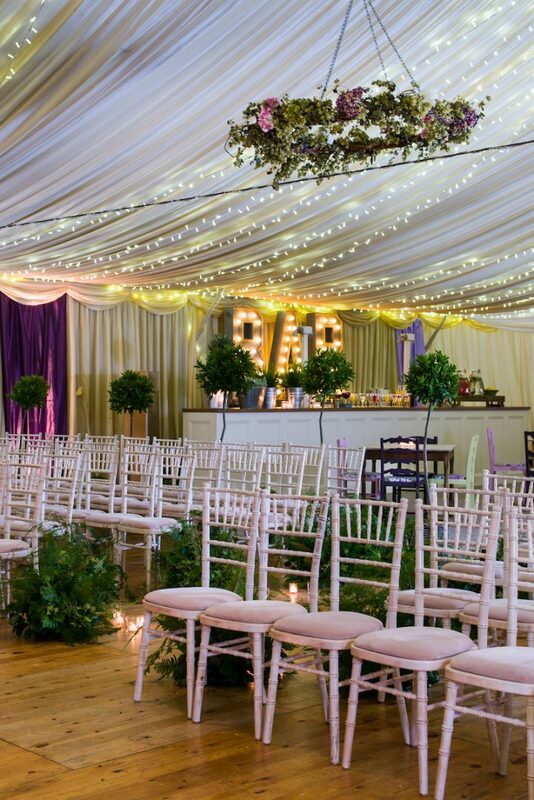 It’s fully-lined, has a large dance floor, a bandstand and its neutral decor means you can style it however you like. 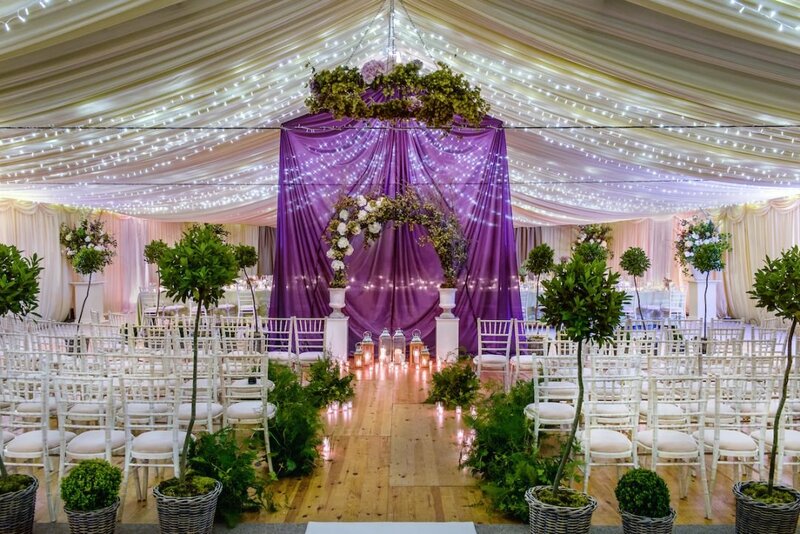 A truly stunning space in which we can help you create a wedding completely unique to you. 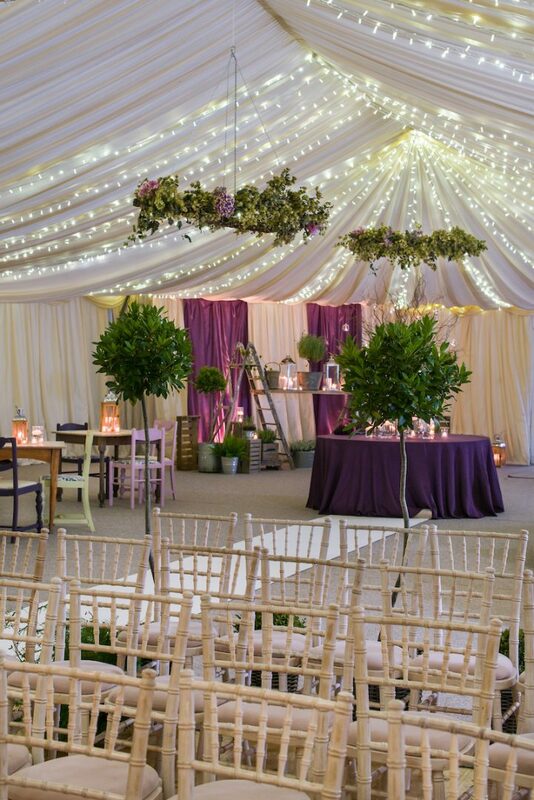 We take all of the stress out of organising a marquee wedding by providing all of the essentials: lighting, heating, a state-of-the-art ‘sound ceiling’ system, round tables, upholstered chairs, linen tablecloths, fully fitted bar and catering equipment. 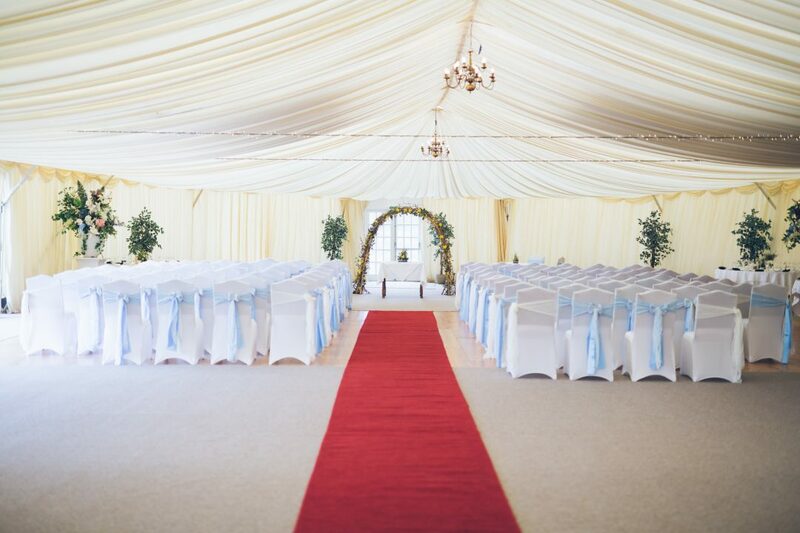 With all of this included, it’s also the best value marquee wedding venue in the Scottish Borders! 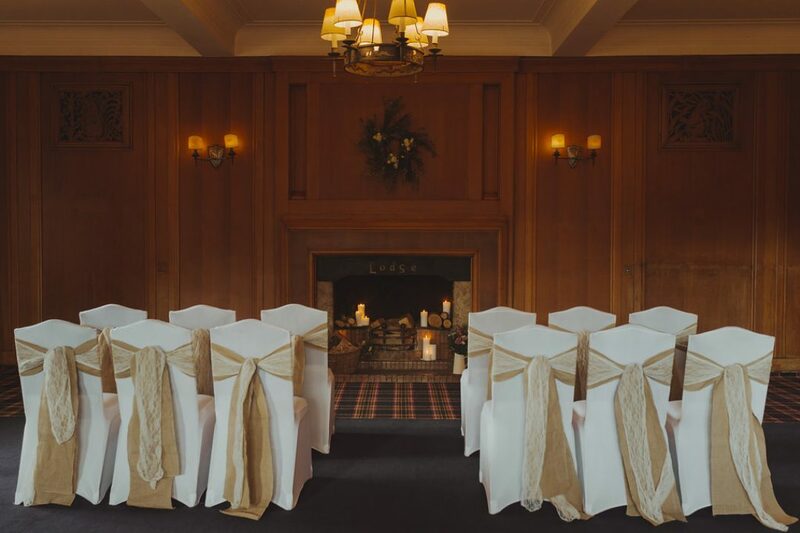 Our oak-panelled reception room - The Campbell Room - seats up to 140 guests. 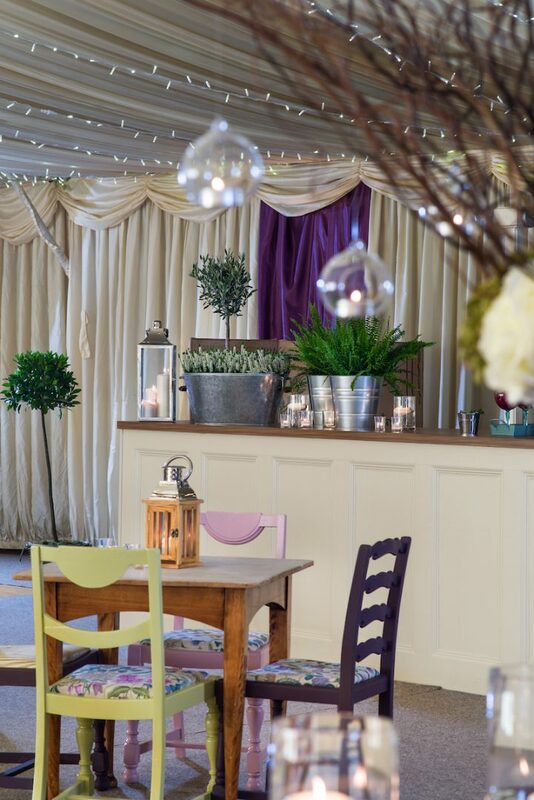 It has a springing dance floor and a proper bar area - it's been designed very much with weddings in mind! 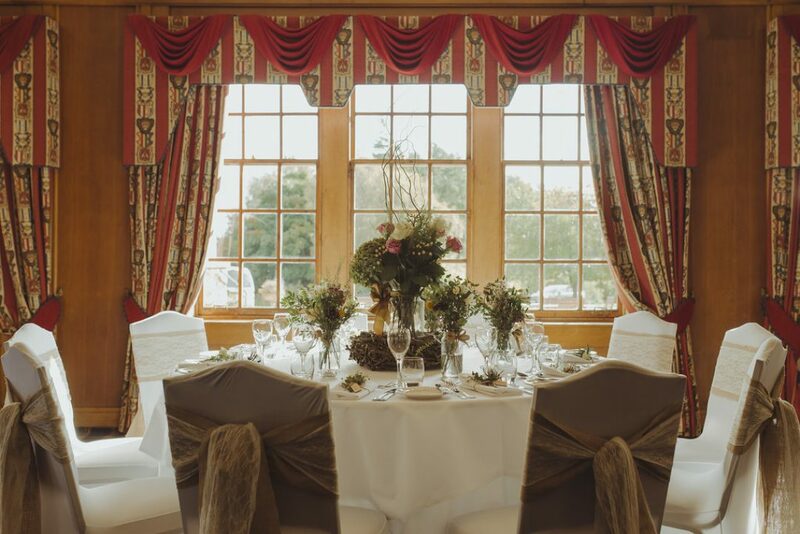 It's a room full of character and history, while still allowing you to style your day exactly as you would like it. 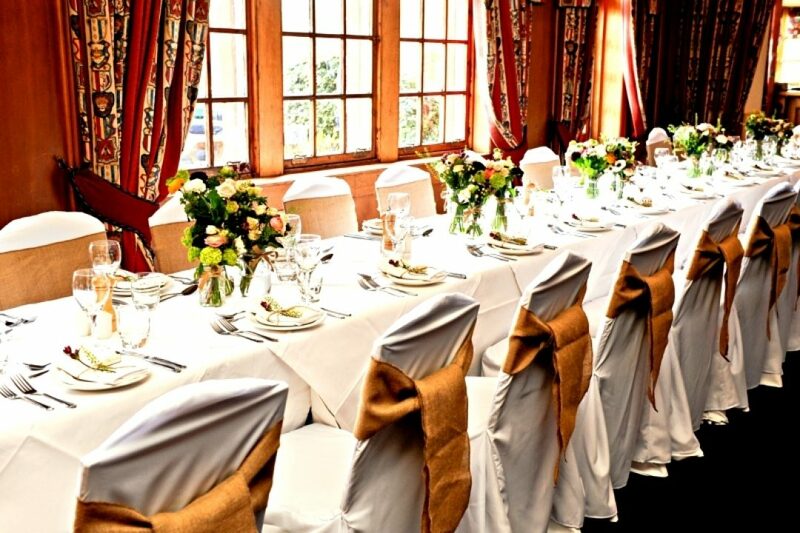 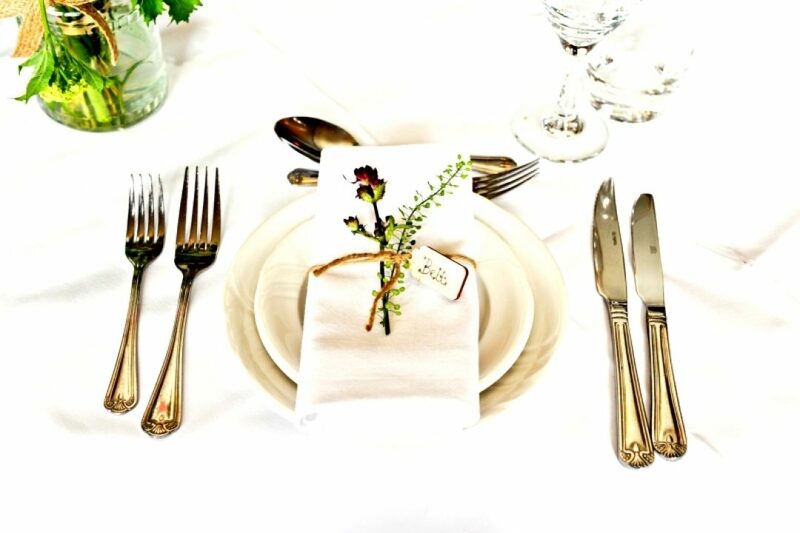 Our private, country-chic room - The Gallery - is available for more intimate weddings, seating up to 18 guests. 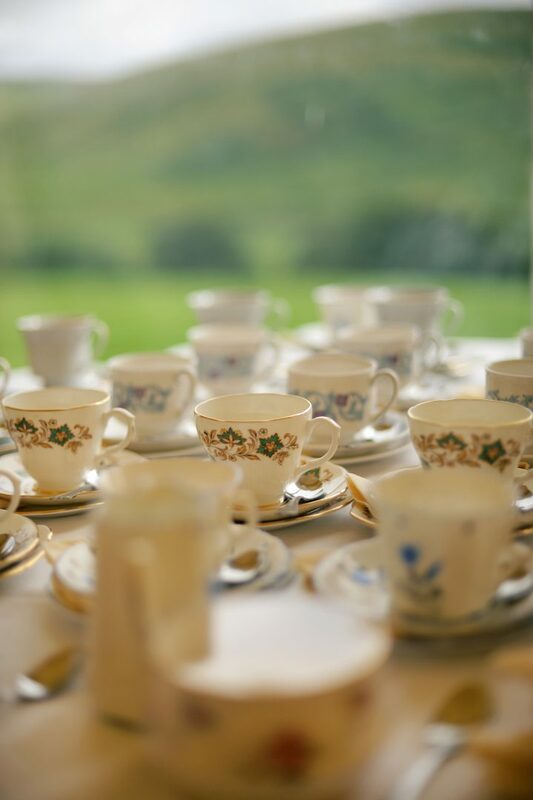 Even if you're planning a larger event, we can make this room available to you as somewhere for nearest and dearest to gather over coffee, lunch or drinks ahead of the day. 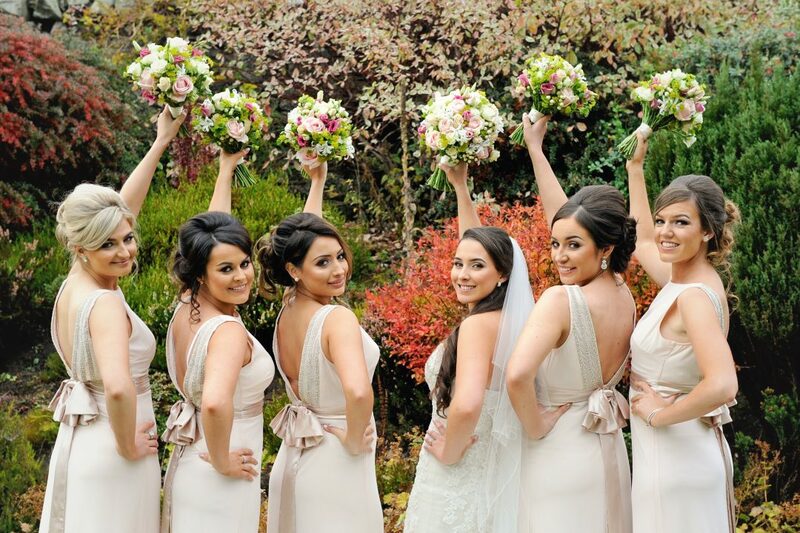 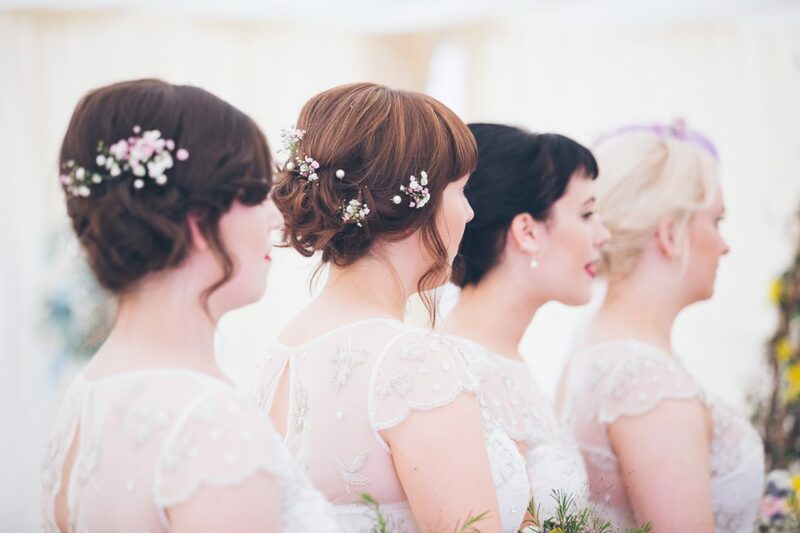 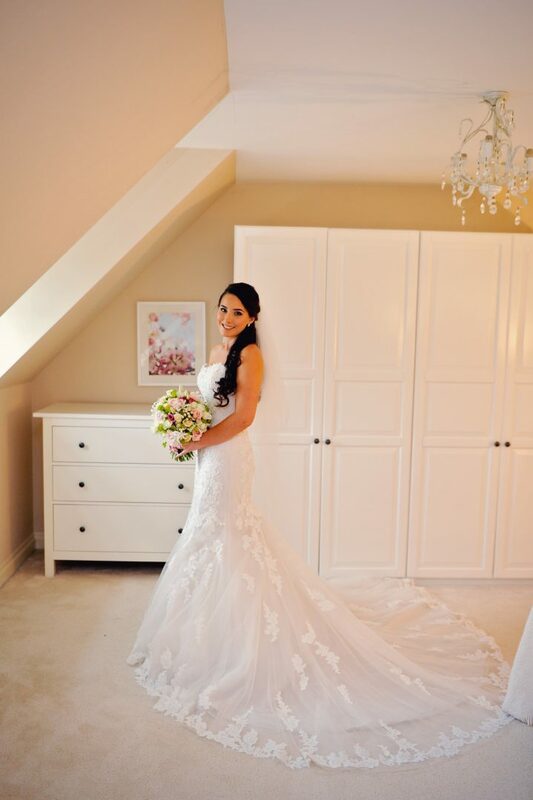 Perhaps you'd love to have a sumptuous room for the bridal party to have their hair and make-up done? 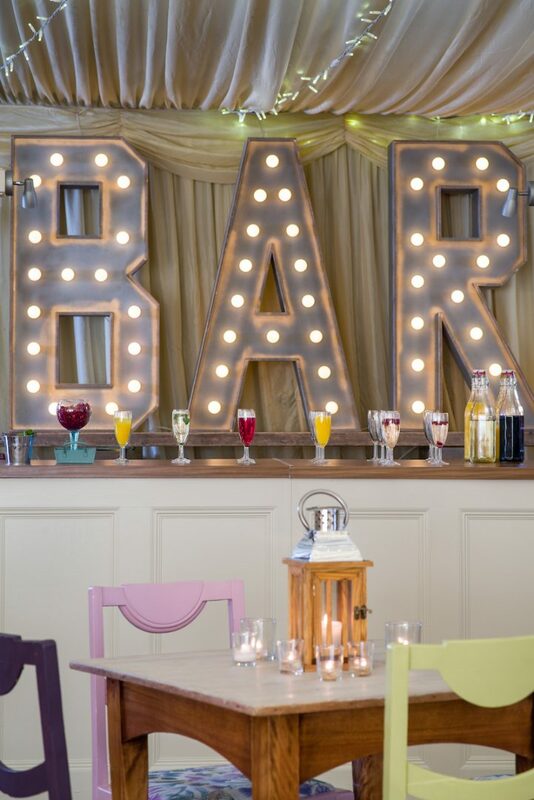 With a glass of bubbly of course! 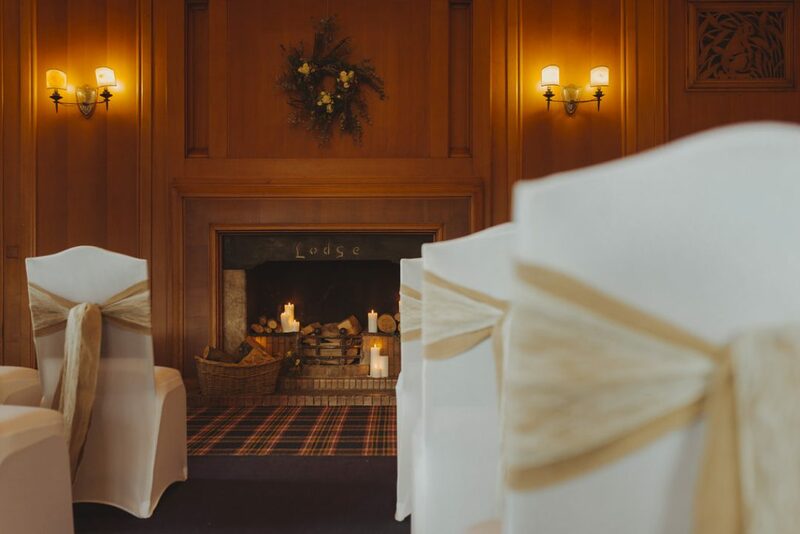 In the winter months, we can stoke roaring log fires in our reception rooms - perfect to draw your guests in from the cold. 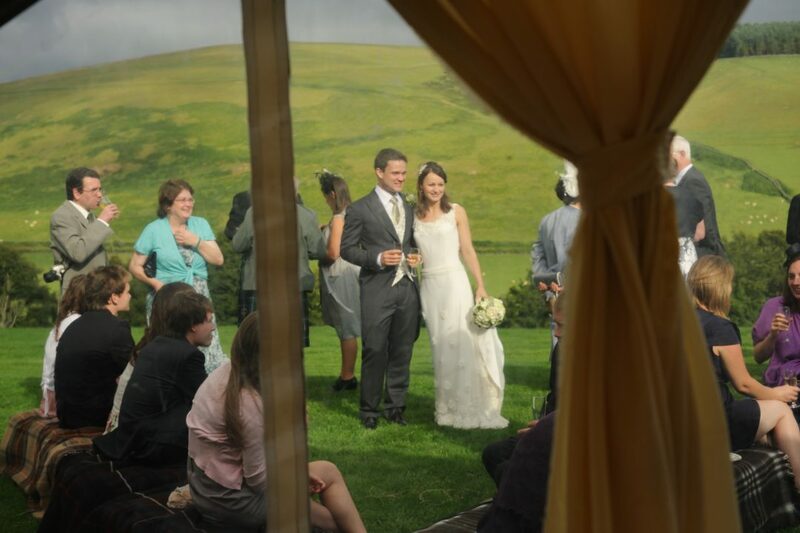 You also have the exclusive option of getting hitched 'On the Hill', a remote spot on our farm which is a mile from the hotel. 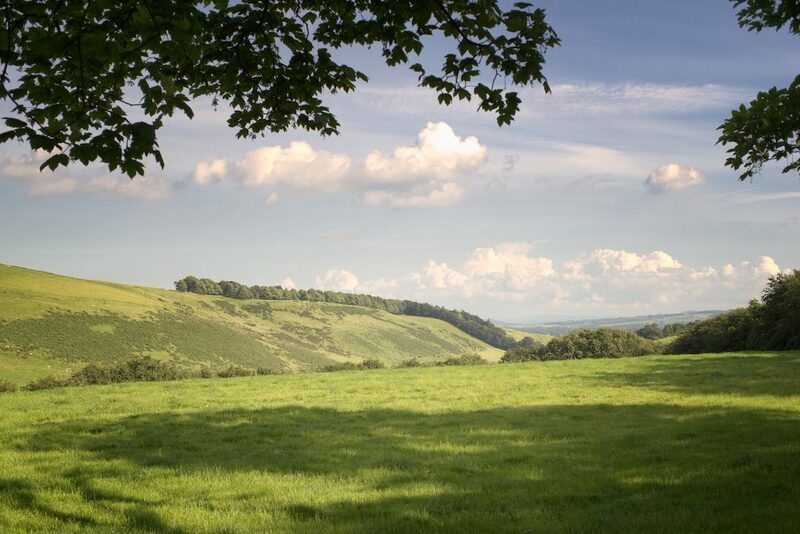 The views here are truly magnificent, stretching far down the valley over Lauderdale. 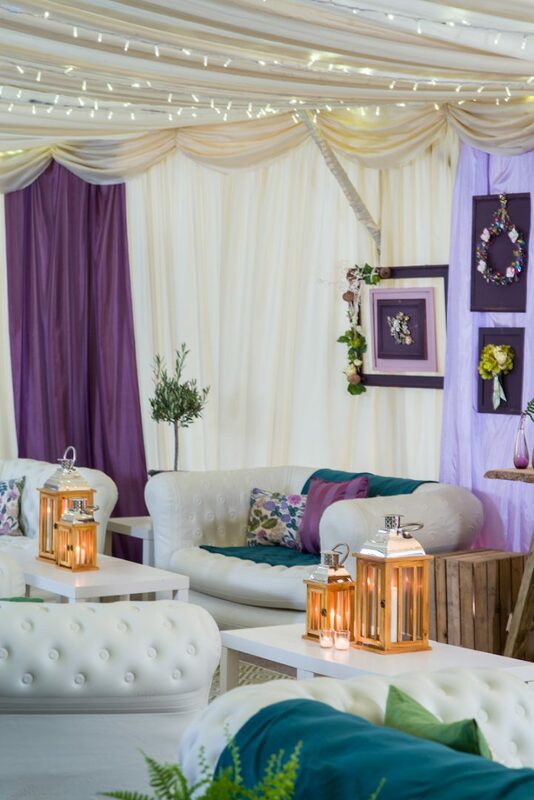 In a marquee, a tipee tent or even a yurt, you can enjoy your day with open skies and herds of sheep picking through the grass nearby. 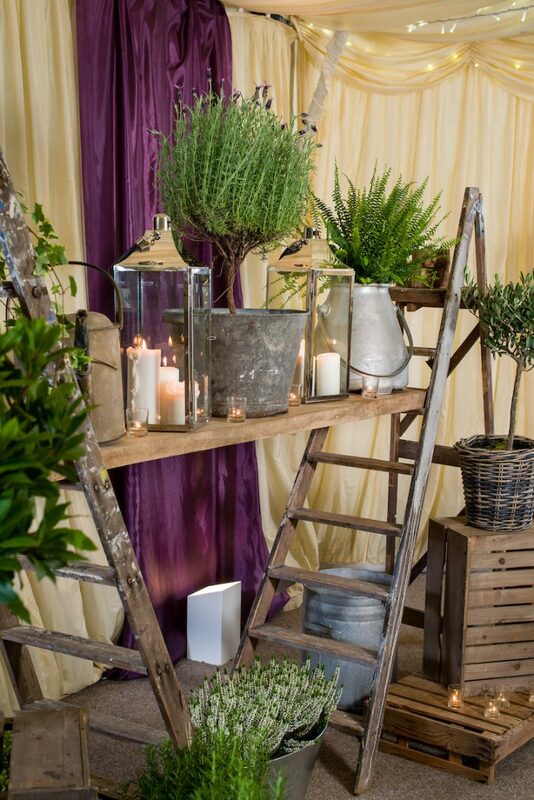 We can also provide a farm barn (industrial style!) 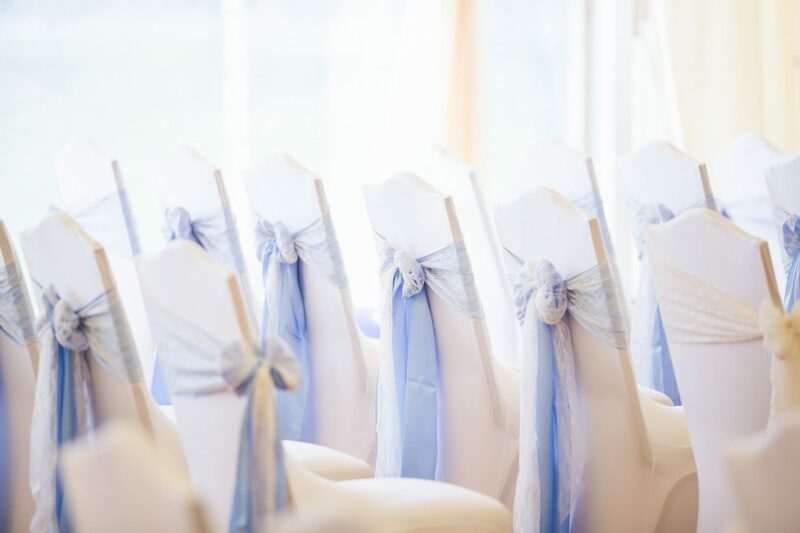 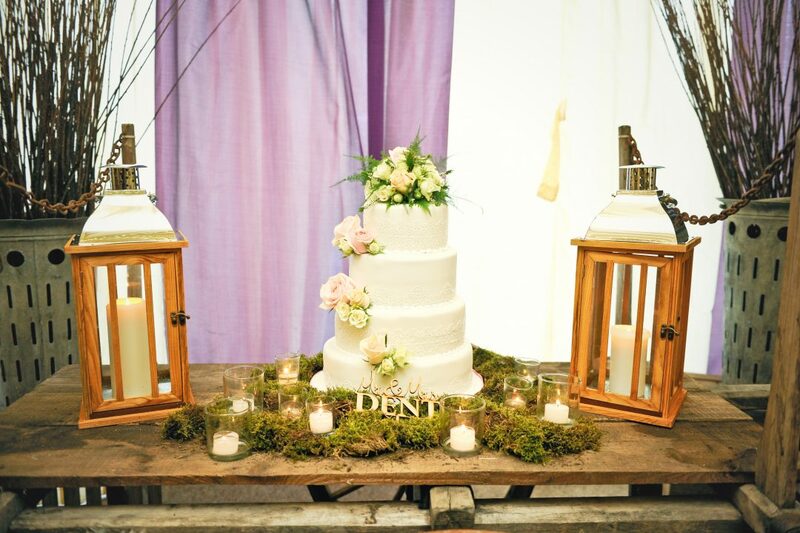 for you to style as you like, whether for the ceremony or the reception. 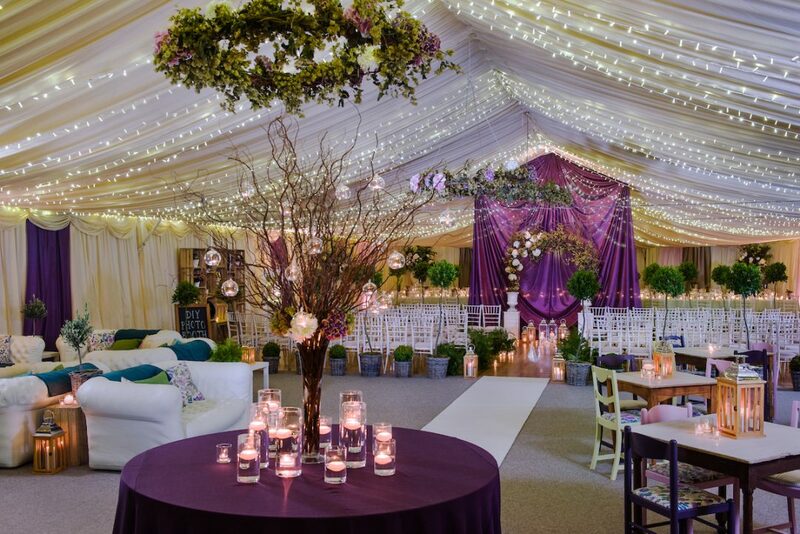 The landscape, as well as the freedom this location gives you in terms of style and privacy, makes it the perfect place for your own wedding tent. 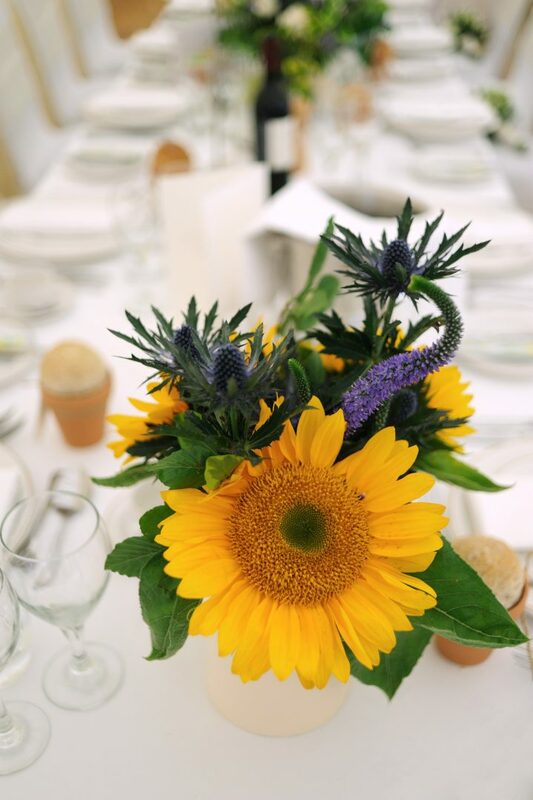 Just like at Carfraemill, we can take care of all of the essential elements from tent pitching and luxury loos, to tables, chairs, heat, light and of course some rather fabulous local catering! 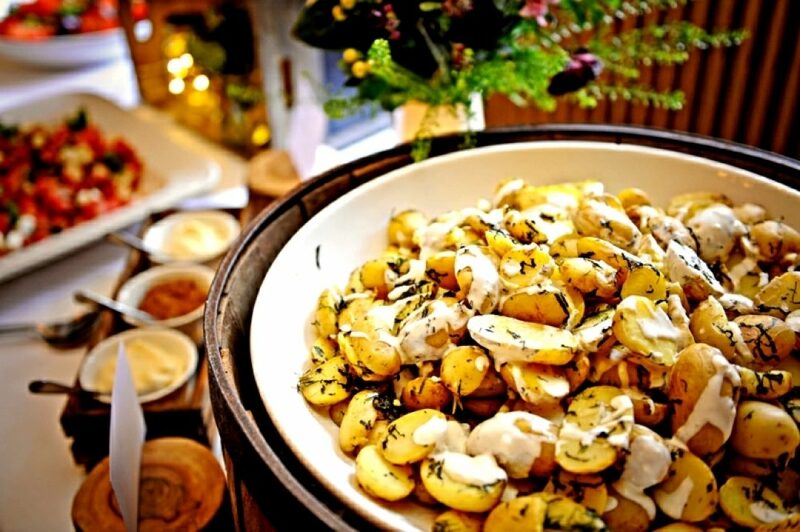 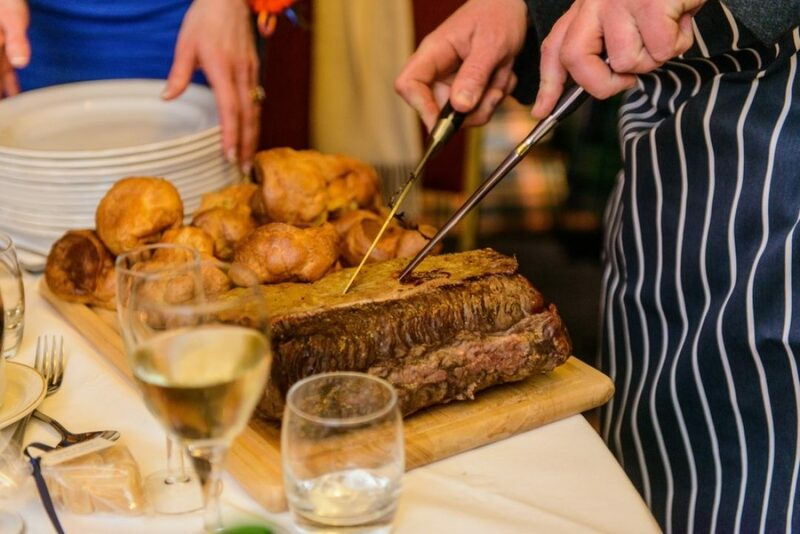 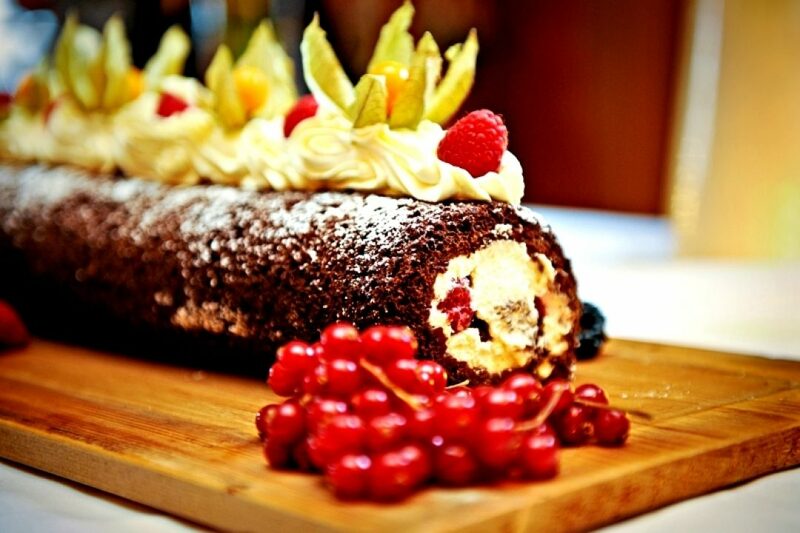 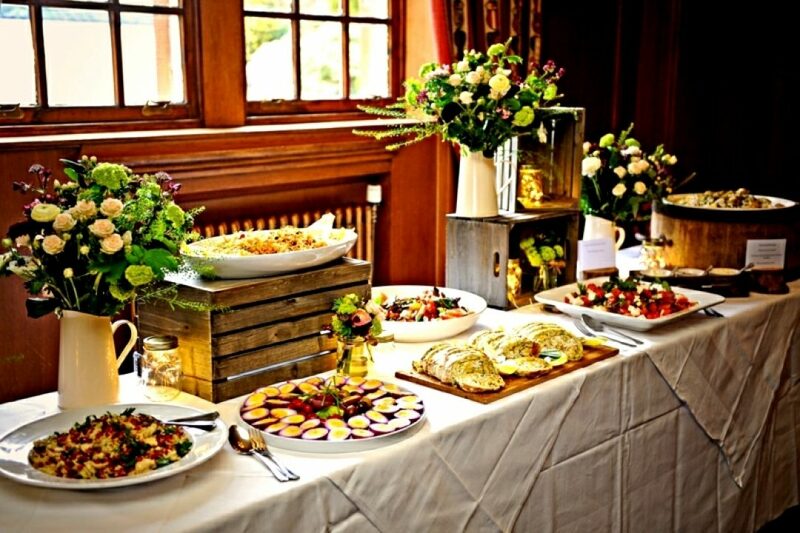 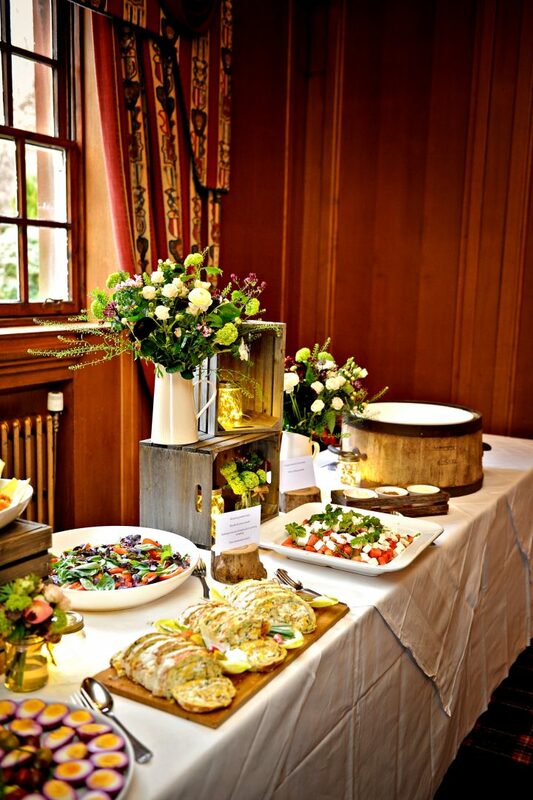 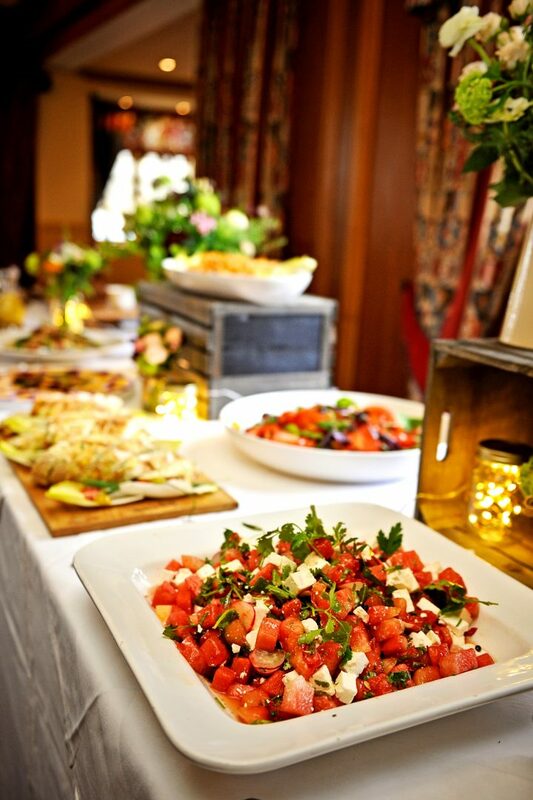 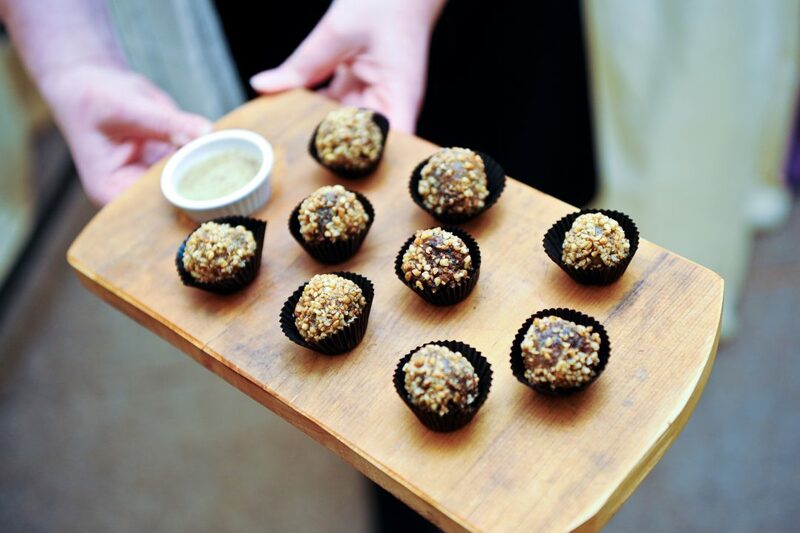 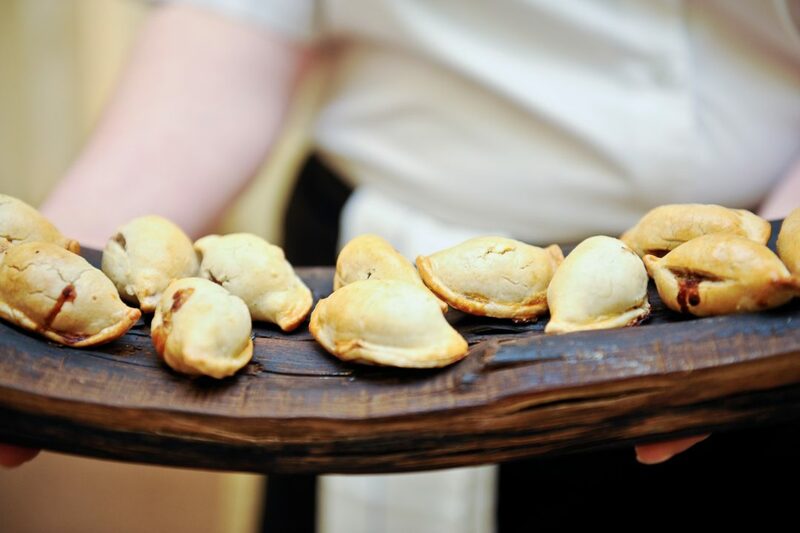 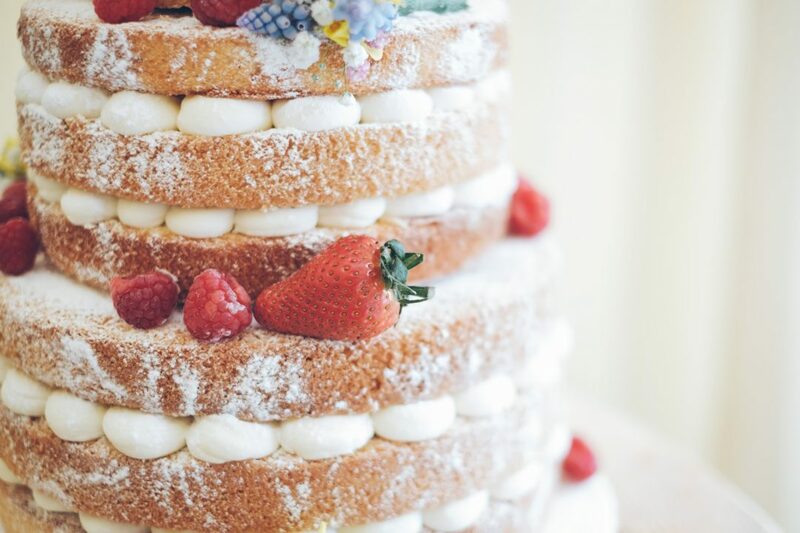 Wonderful food is at the heart of all the best weddings we’ve ever been to, and that’s why we are passionate about creating stunning menus for our brides and grooms. 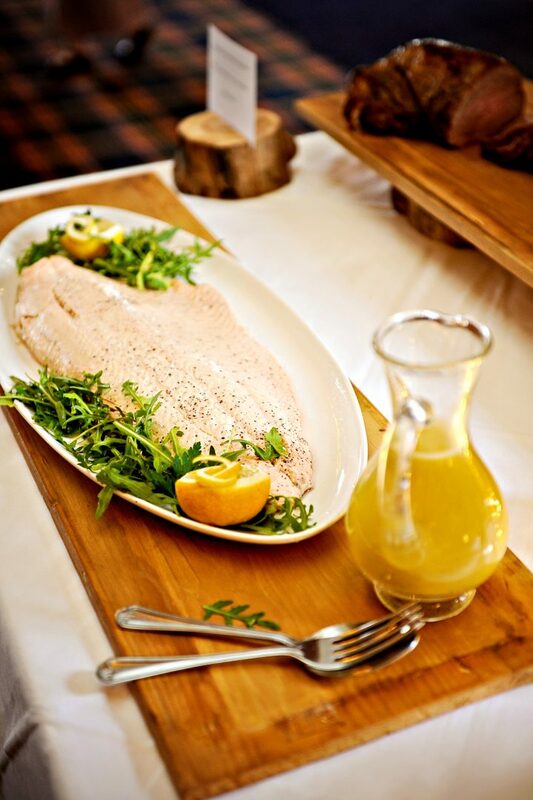 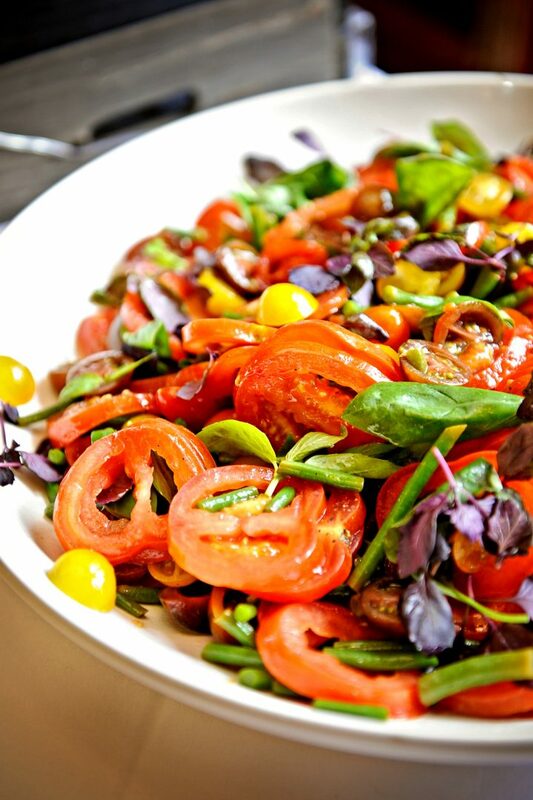 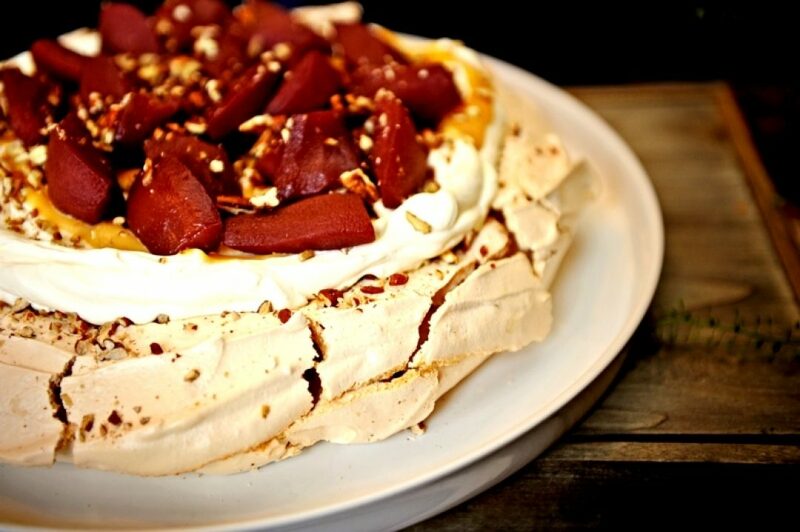 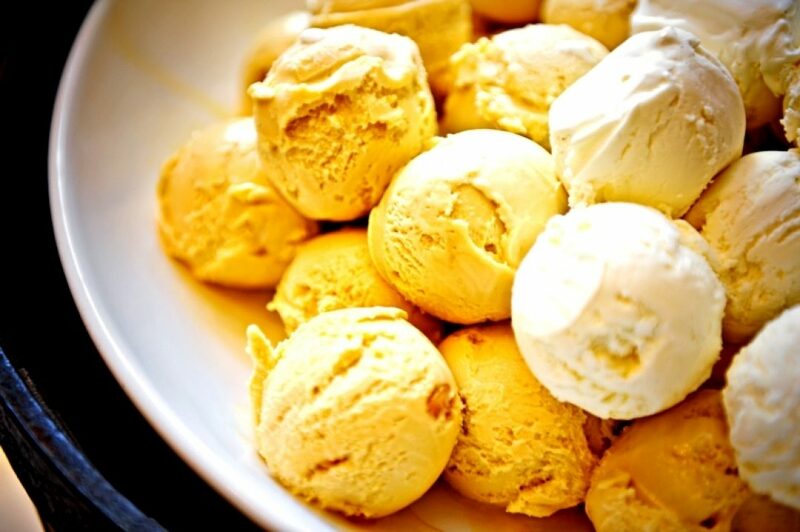 We work with some incredible local suppliers so you can be sure of the best seasonal and farm-to-fork ingredients – great news if you and your guests are dedicated foodies! 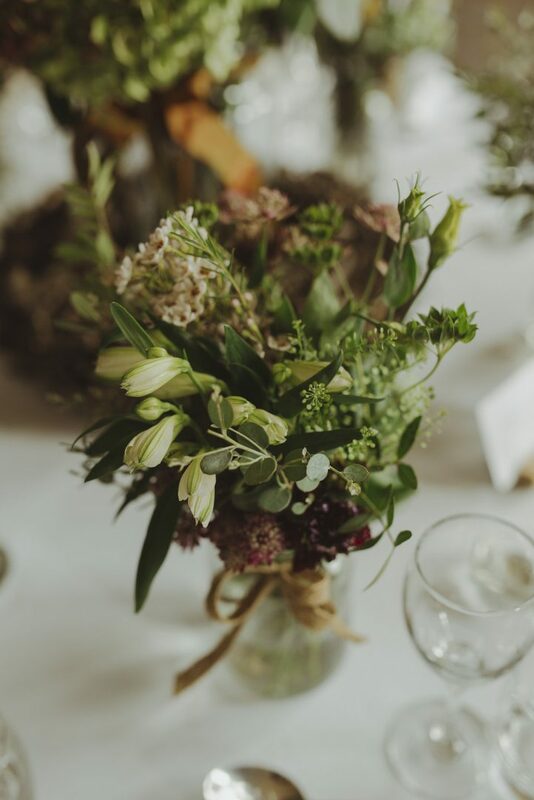 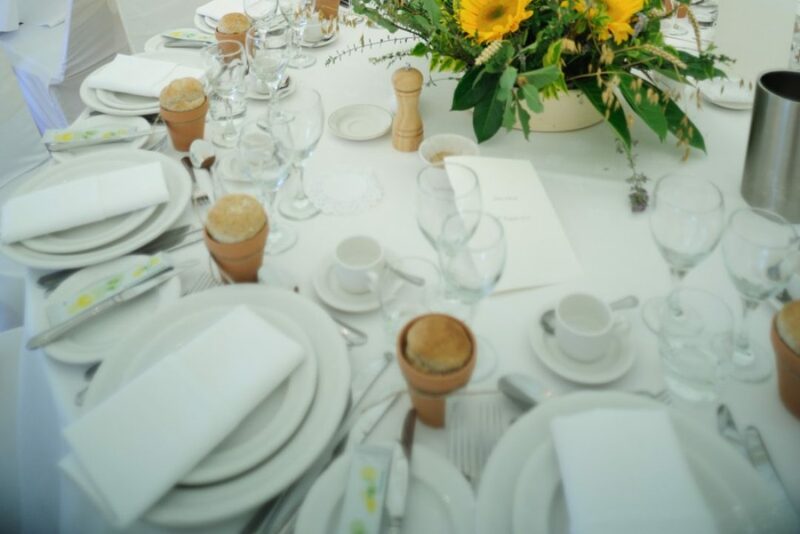 As well as the food, we provide everything else needed for a great day: delicious wine and bubbly; beautiful flowers (if required); all tableware; and of course Carfraemill’s warm and focused team. 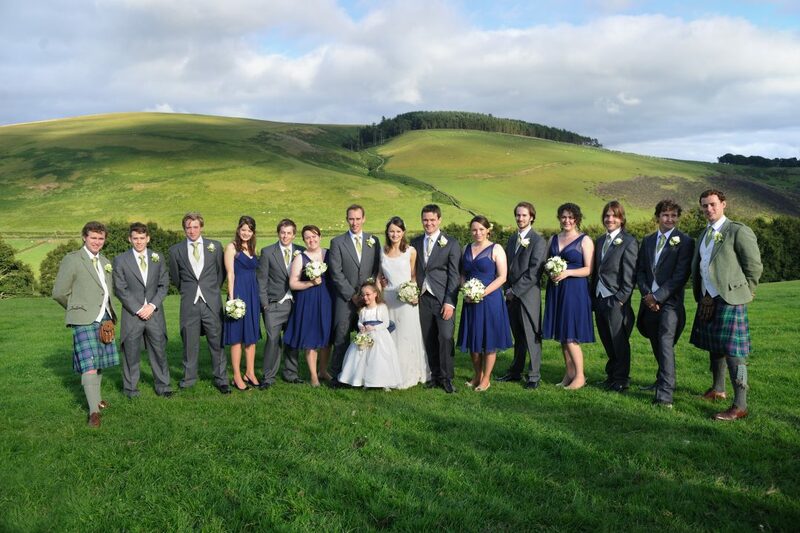 There is something special about having all of the wedding party gathered in one place for a wedding. 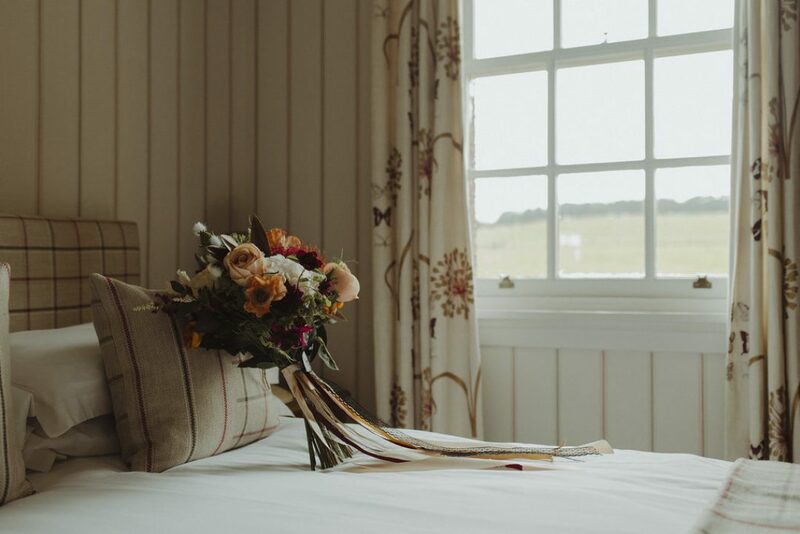 If this appeals, we have 10 individually designed, country lodge bedrooms which can be exclusively hired for your wedding party and guests. 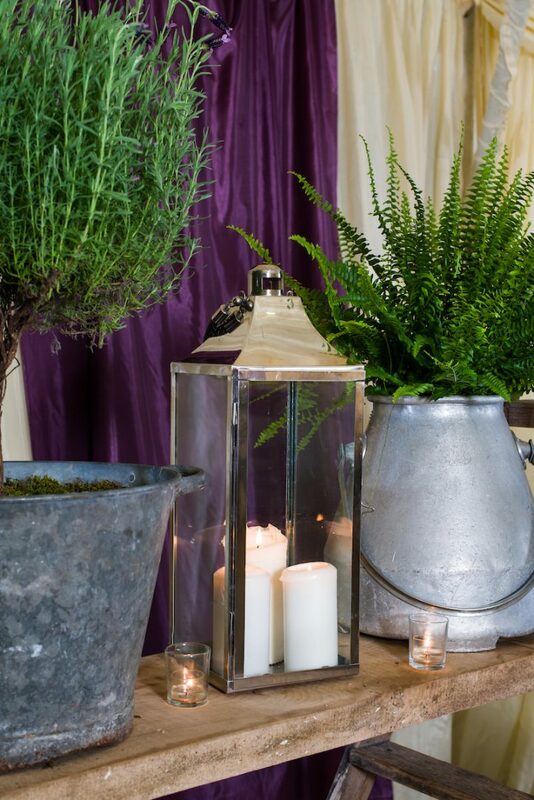 All bedrooms are stylish yet cosy with immaculate ensuite bathrooms or shower rooms. 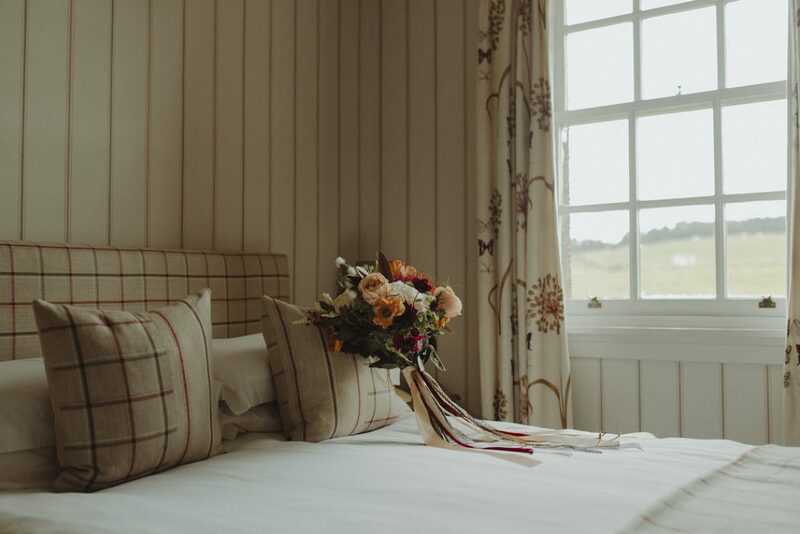 If you’re looking for more accommodation, we also have 2 wonderful cottages just a mile up a country lane behind the hotel. 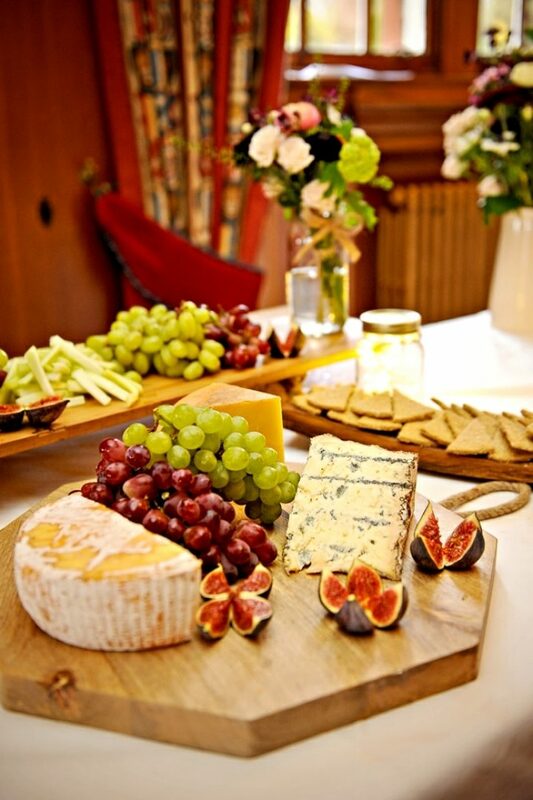 We are also very happy to suggest other self catering accommodation nearby, including luxury options and more modest abodes. 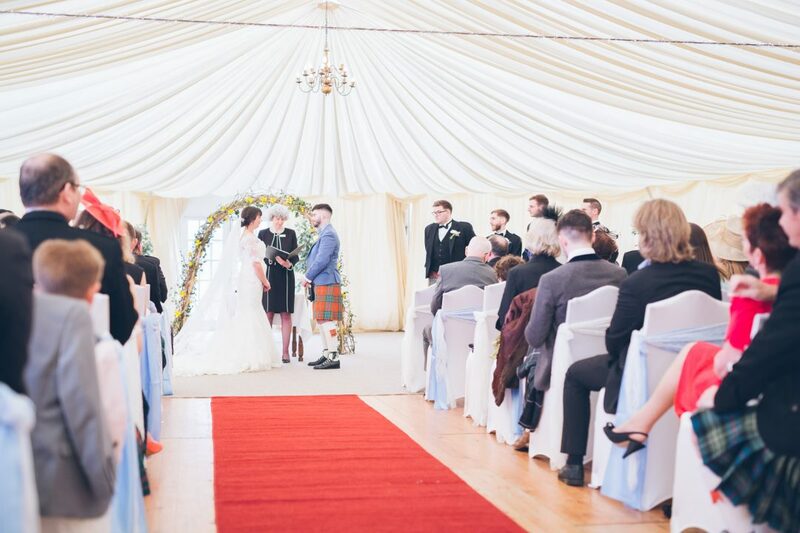 We are licensed for civil and religious ceremonies at our main site at Carfraemill as well as at our "On the Hill" site. 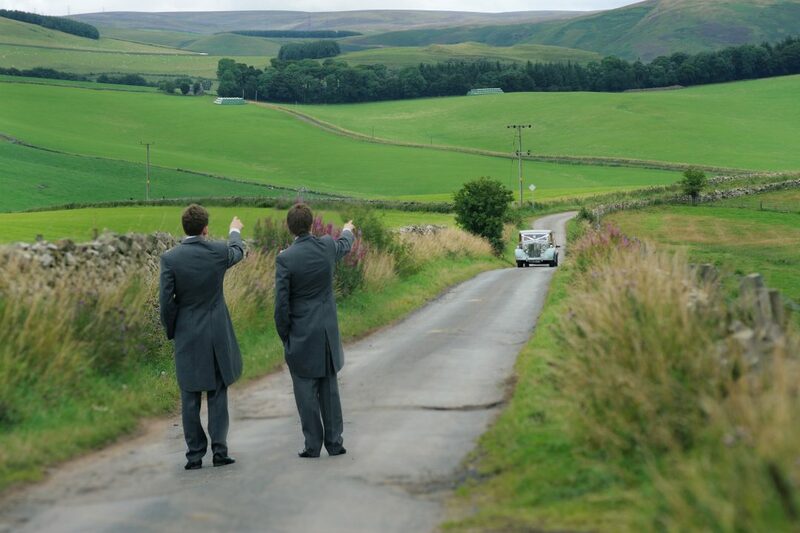 Otherwise, the gorgeous rural church of Channelkirk with its views across Lauderdale is just 5 minutes away. 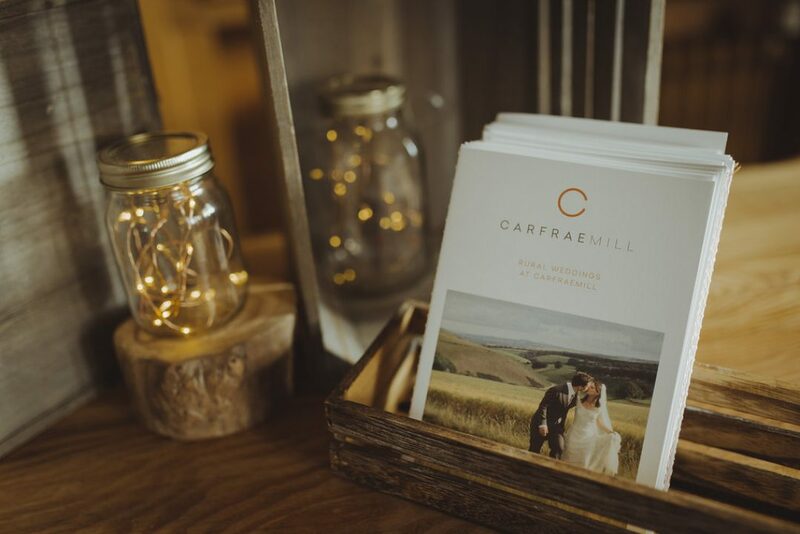 As you make your plans, we hope you find it useful to browse these photo boards of some gorgeous weddings we've had at Carfraemill. 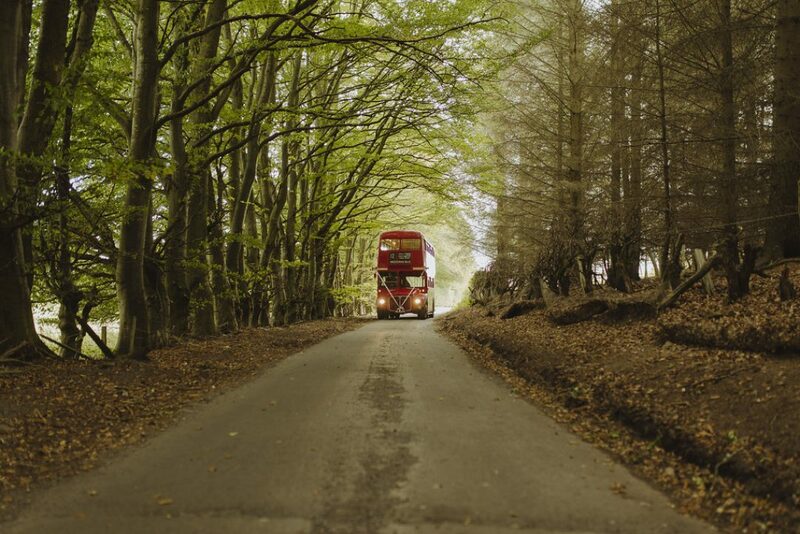 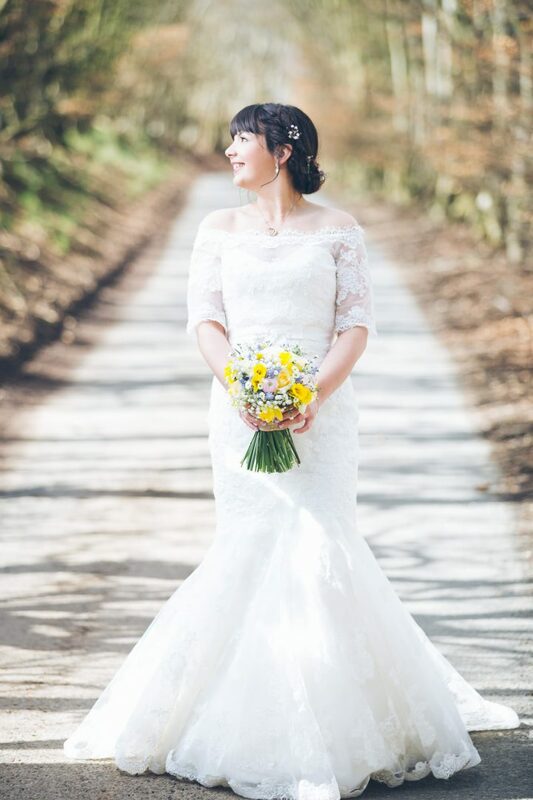 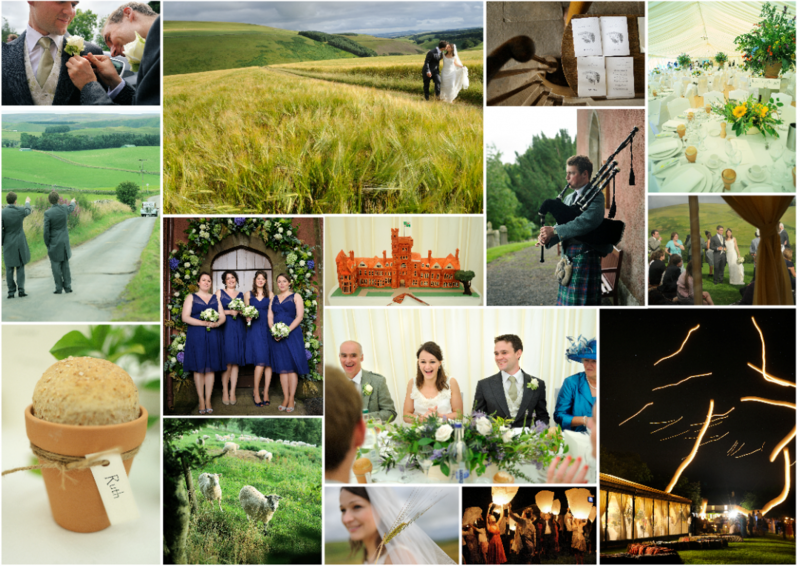 We can recommend fantastic photographers based in the Scottish Borders and Edinburgh to really capture the spirit of your day. 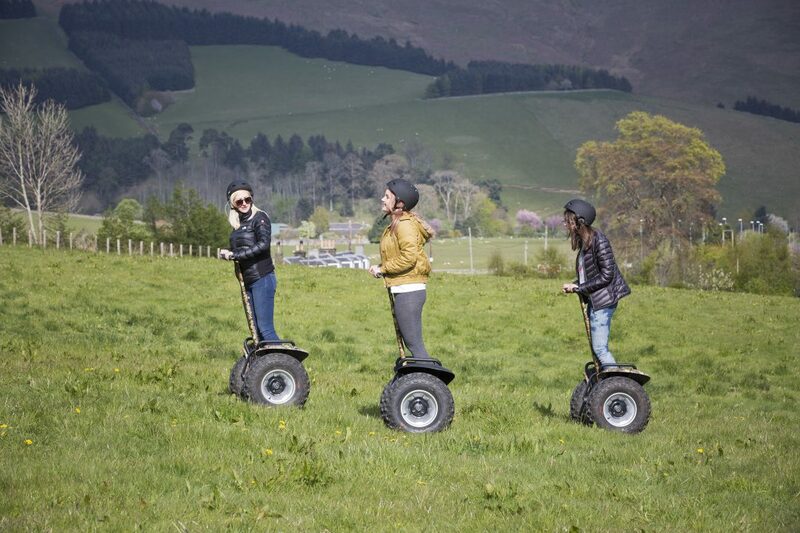 Outdoorsy activities: off-road Segways, clay pigeon shooting, mountain biking, Go Ape and glorious walks in the Lammermuir Hills. 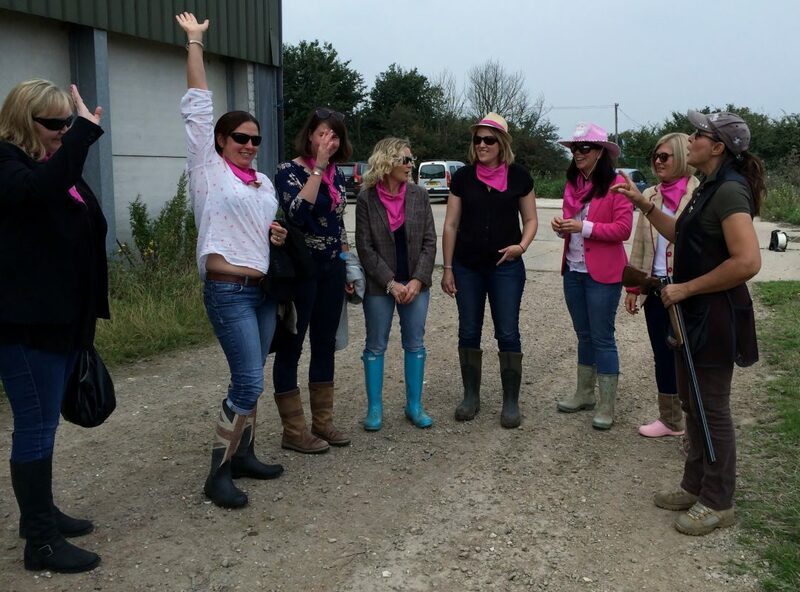 Rooms: we have 10 country-chic bedrooms, all are en-suite, and there is space for up to 24 hens. 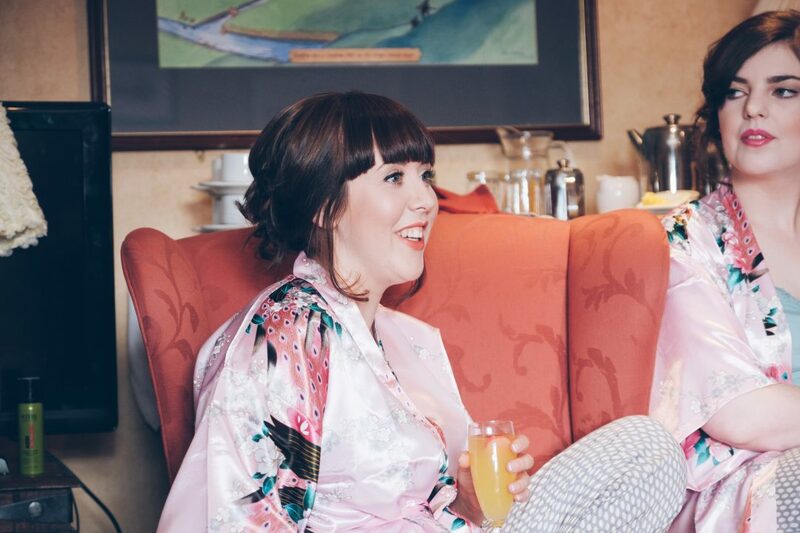 Dining with the girls: enjoy a locally-sourced menu for dinner in one of our private rooms, options for a luxury picnic or light lunch, and recover each morning with a Carfraemill breakfast. 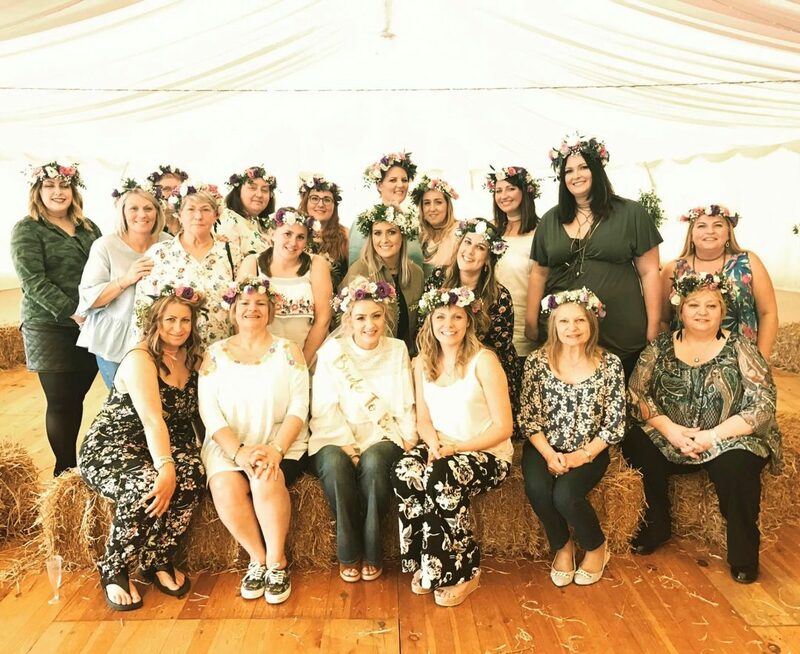 Our most recent wedding fair was in October 2016. 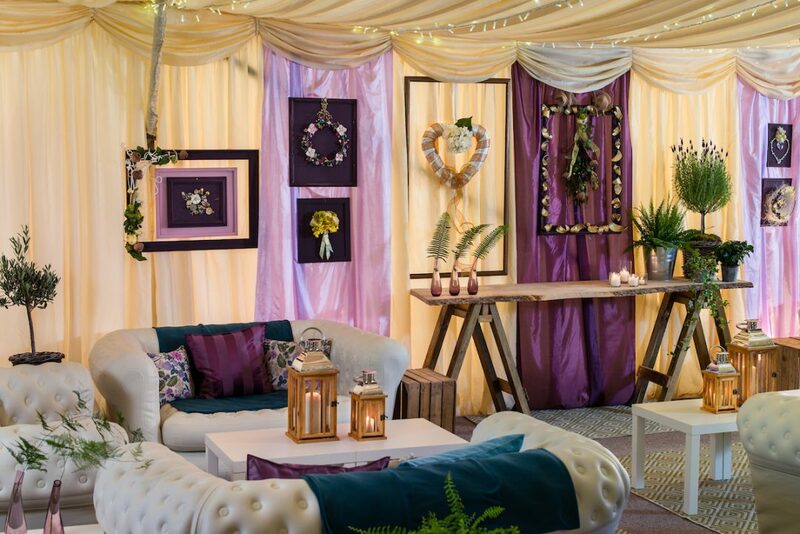 Carfraemill's marquee was transformed by the incredible Get Knotted team showcasing 2017/18 wedding trends. 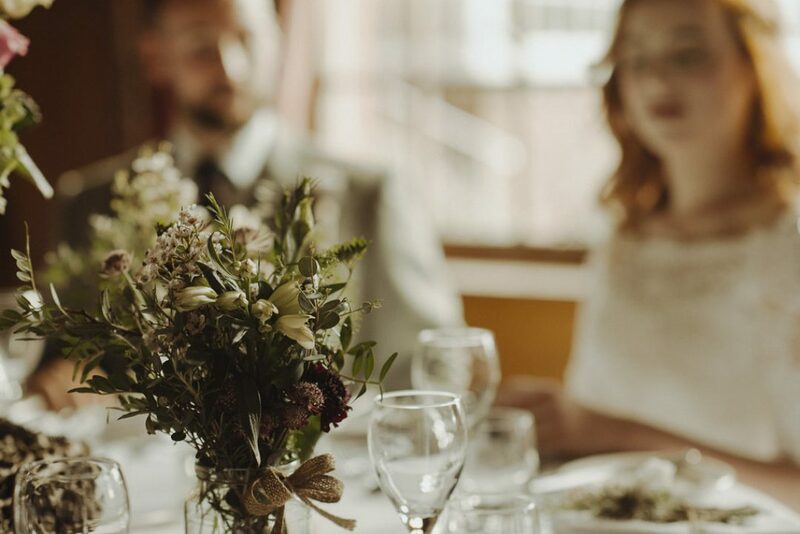 Some of the region's most creative wedding suppliers also exhibited. 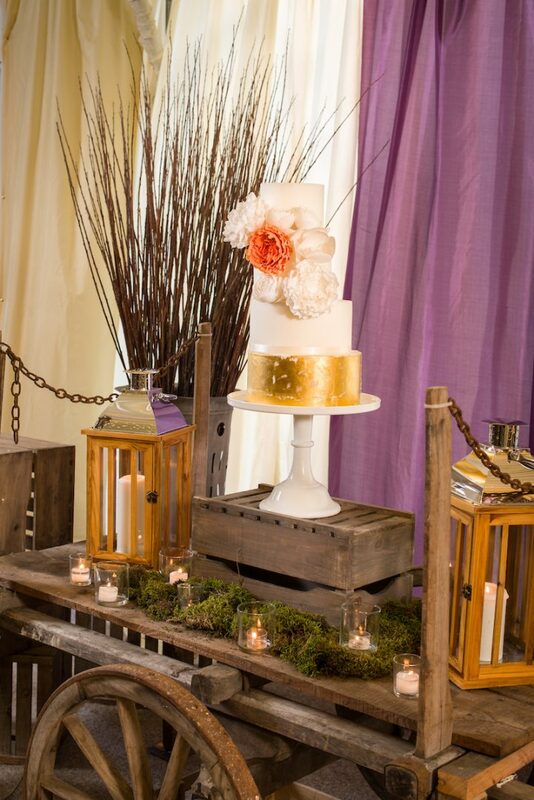 We hope all of the lovely couples and groups who came took away as many ideas as we did. 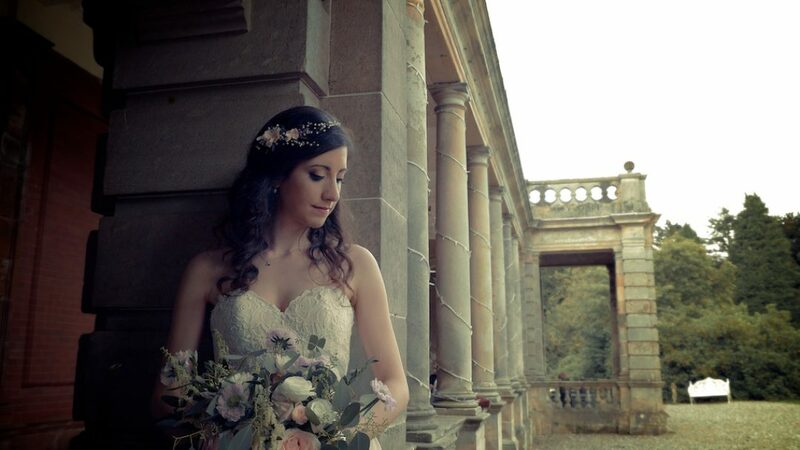 Please get in touch if you're interested in joining future boutique wedding fairs at Carfraemill. 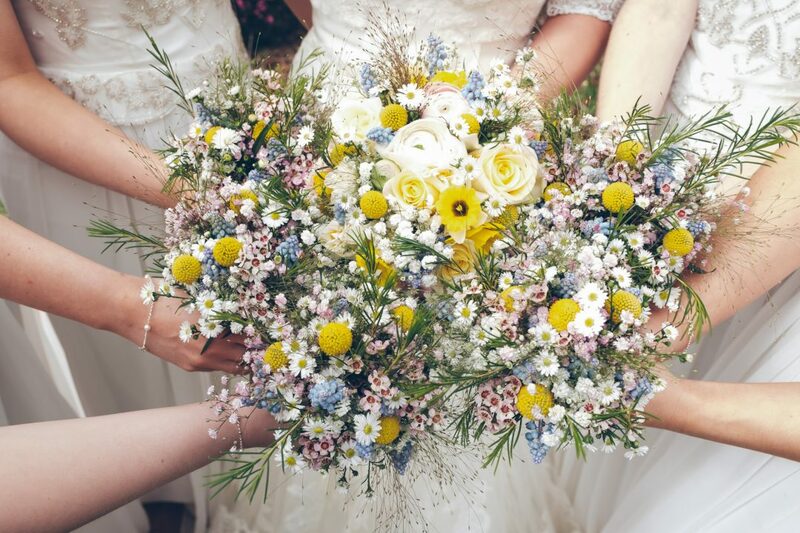 They are perfect if you're looking for wedding inspiration, need to book your wedding team, would love a sneak preview of upcoming wedding trends or you just fancy a day out with your besties. 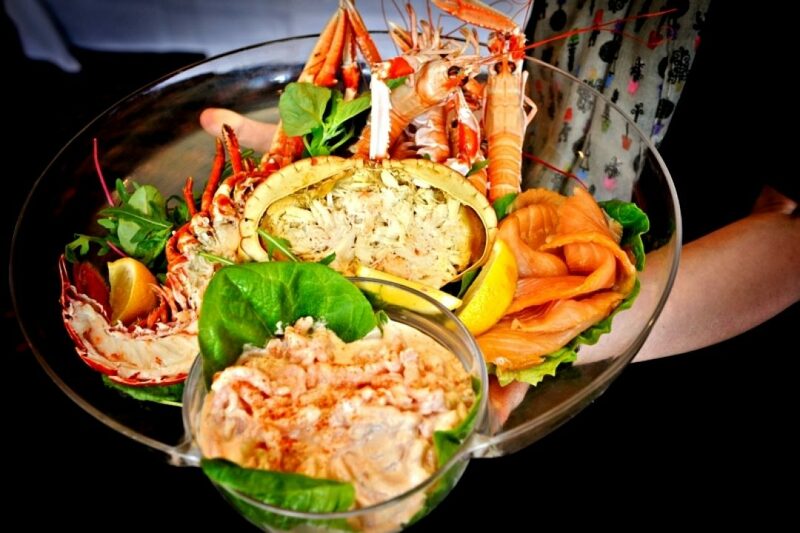 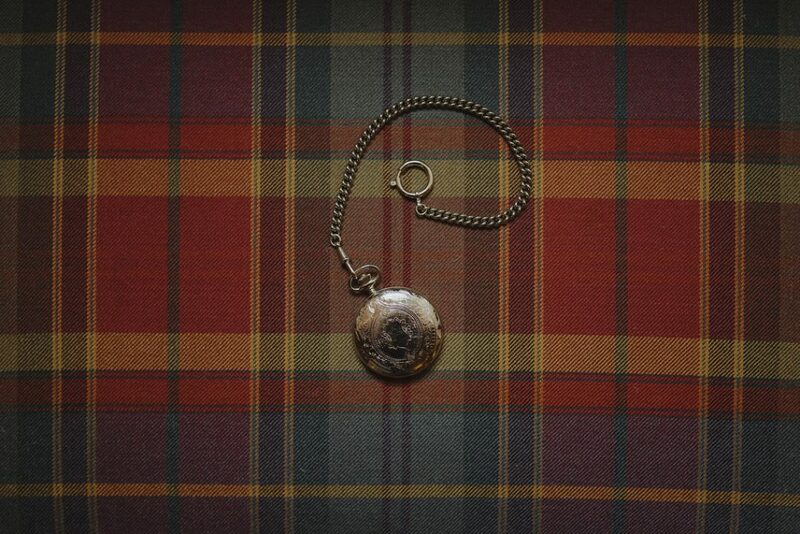 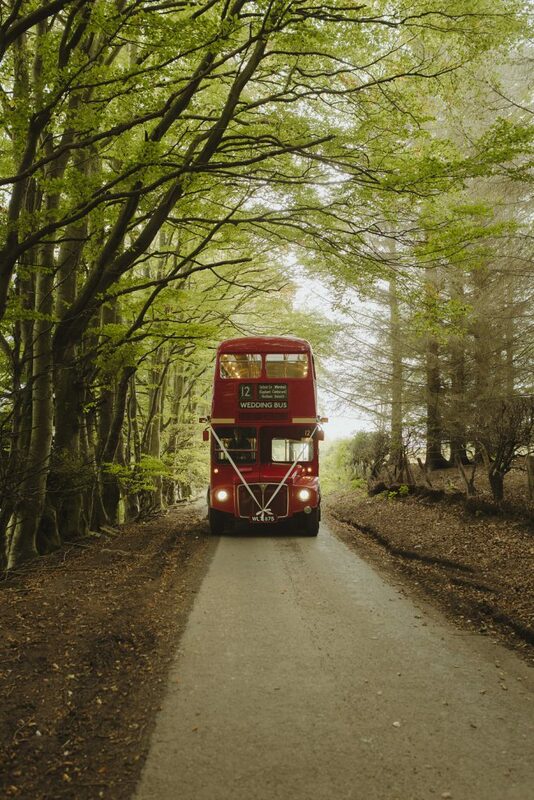 We're only 30 minutes drive from Edinburgh, 20 minutes from Melrose and Galashiels and 30 minutes from Kelso. 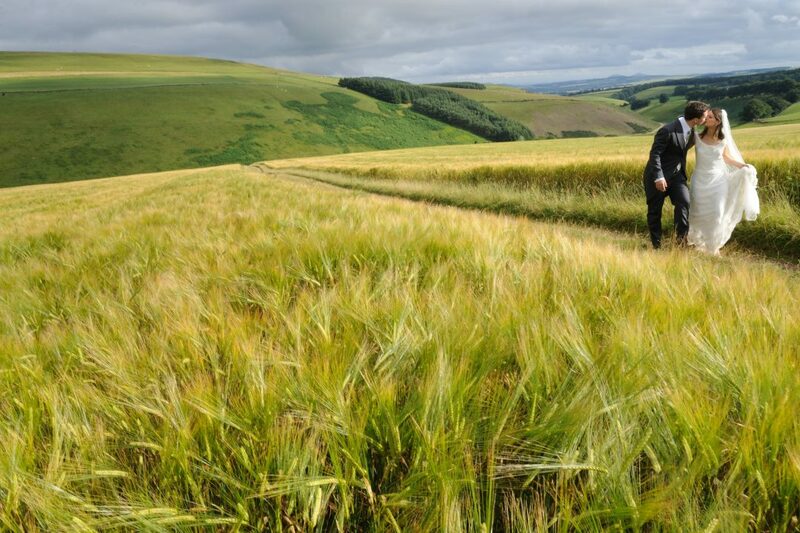 Find us here in the fresh country air of the glorious Lammermuir Hills. 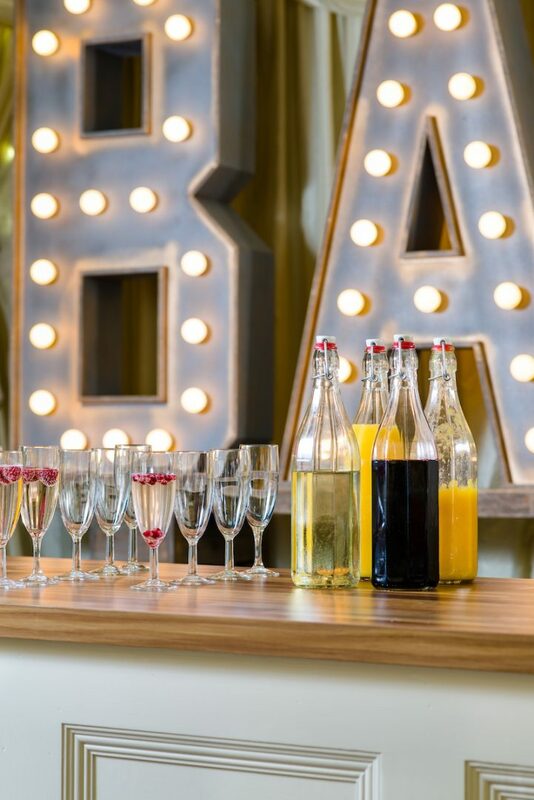 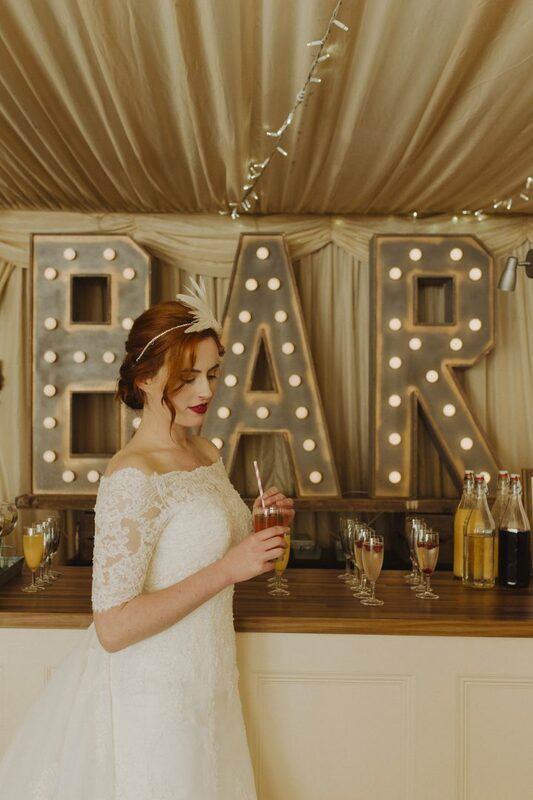 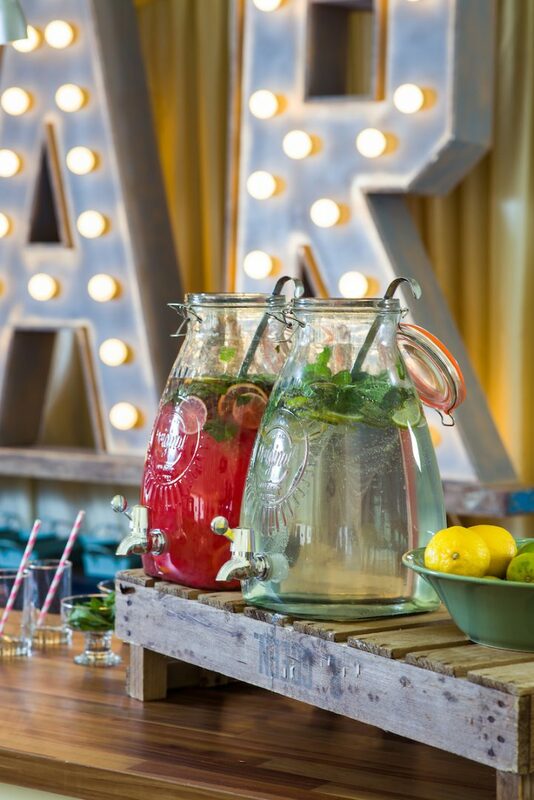 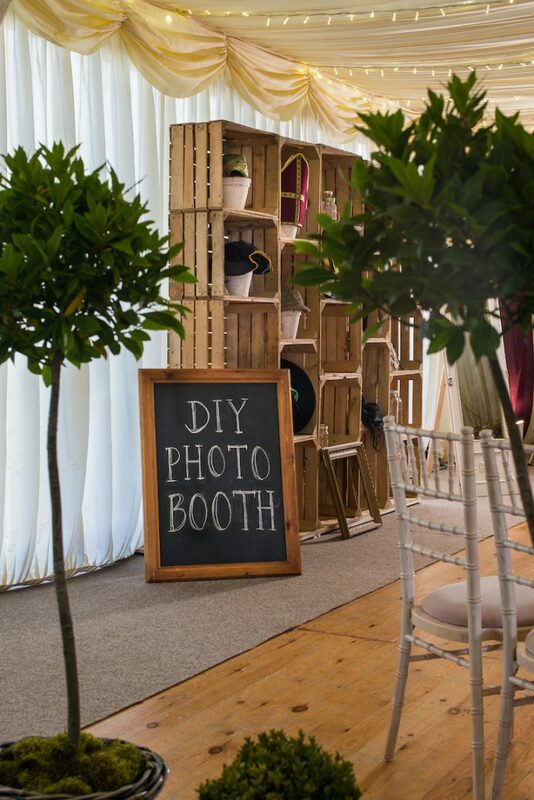 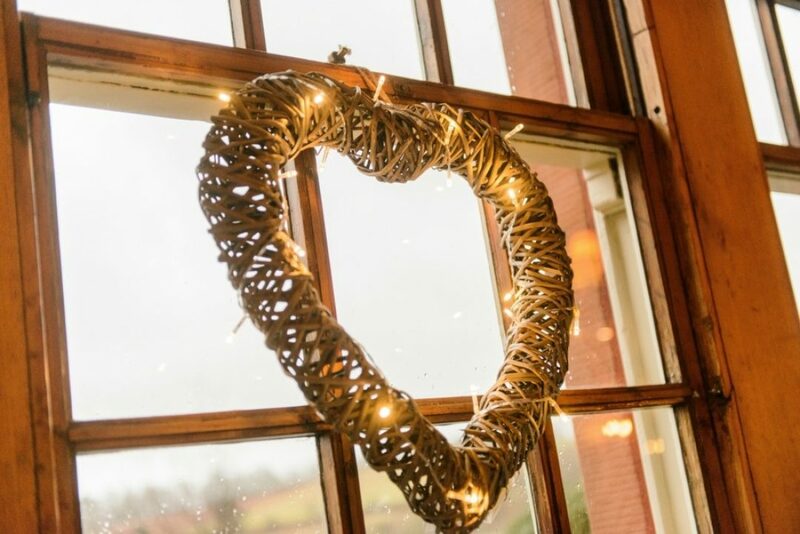 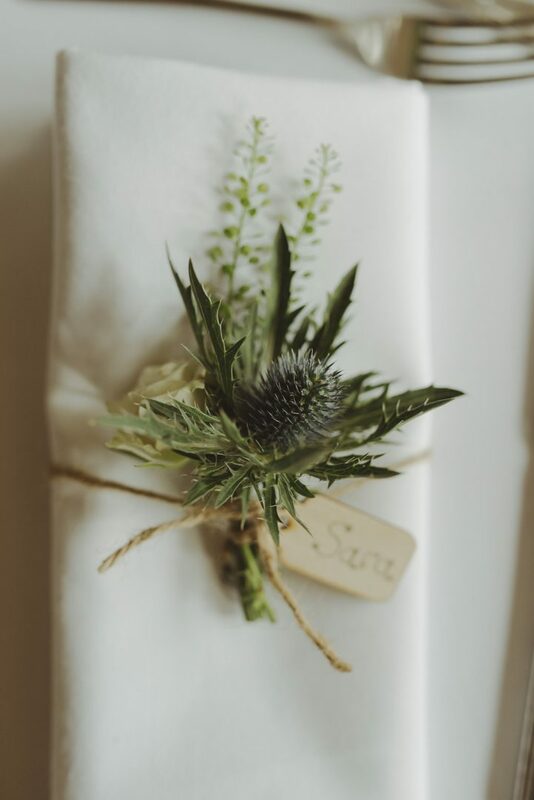 Get Knotted: the Carfraemill marquee was styled by one of Scotland's top wedding planners with a glamorous chill-out area, beautiful table settings, stunning ceremony area and a funky bar with tonnes of creative props, lighting, fabrics and fun touches. 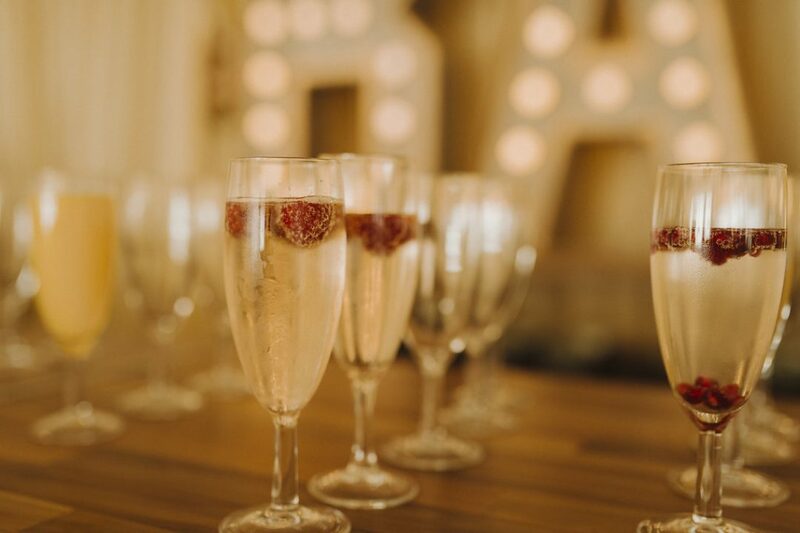 It was so beautiful, and we loved to see so many couples enjoying their "pimped" Proseccos as they wandered through each area. 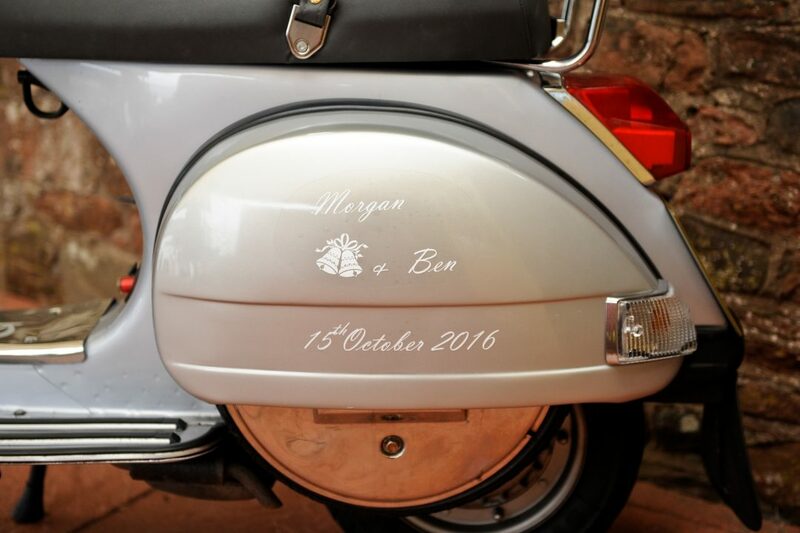 Photos will be available soon. 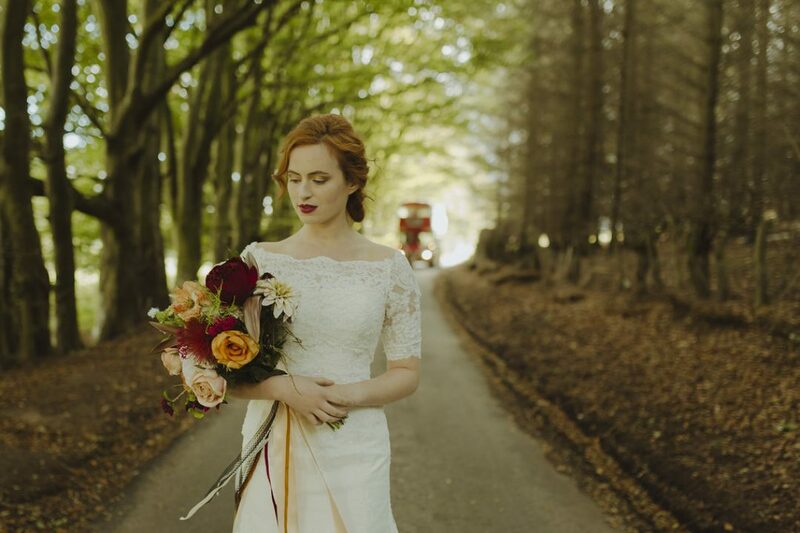 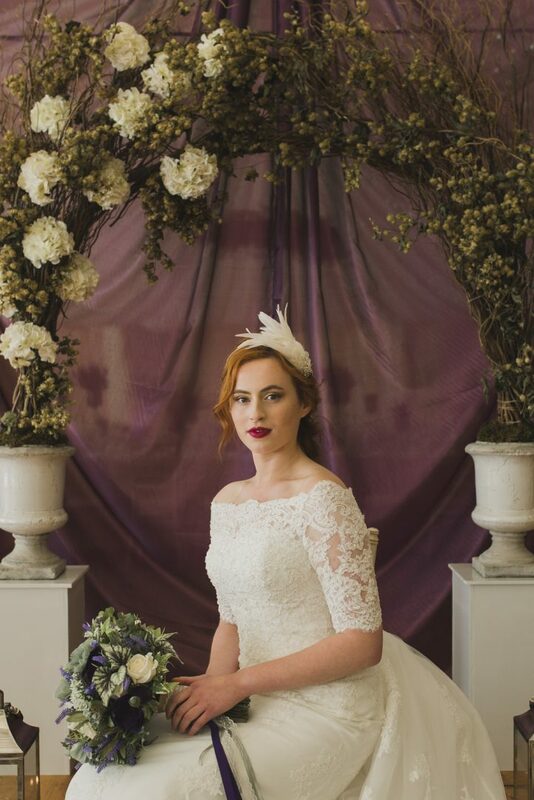 LA Bridalwear: award-winning bridal boutique, beautiful handmade dresses and accessories. 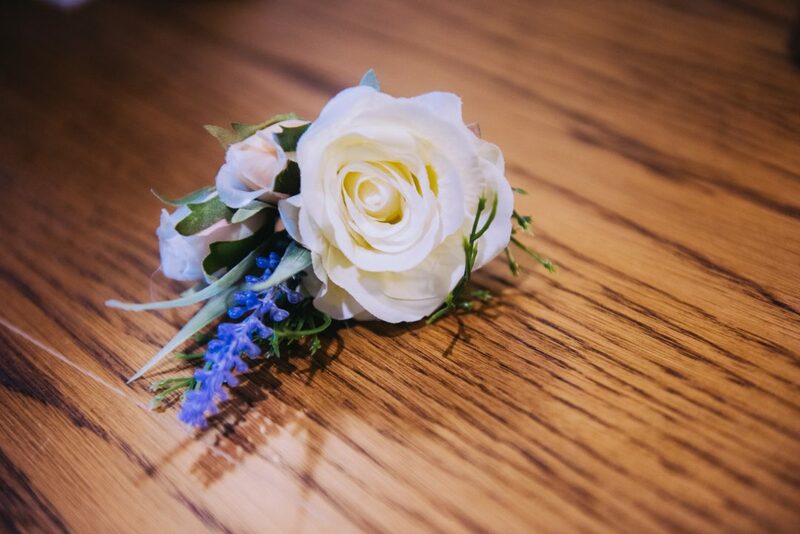 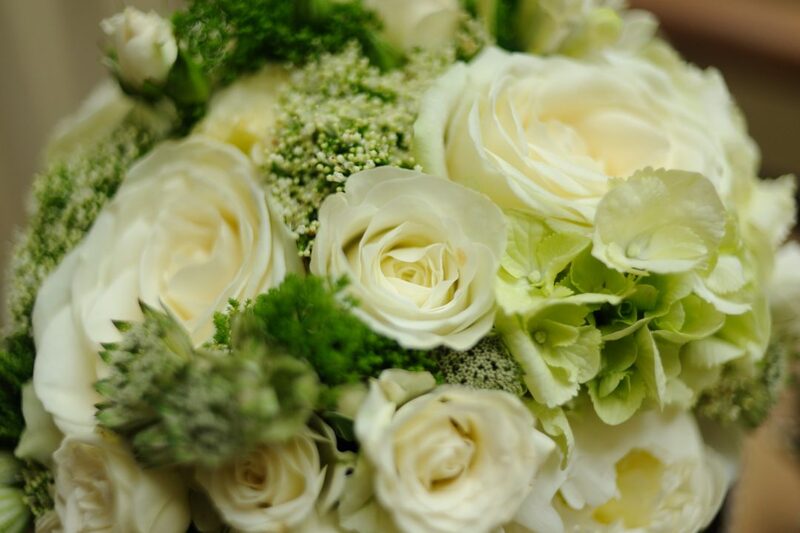 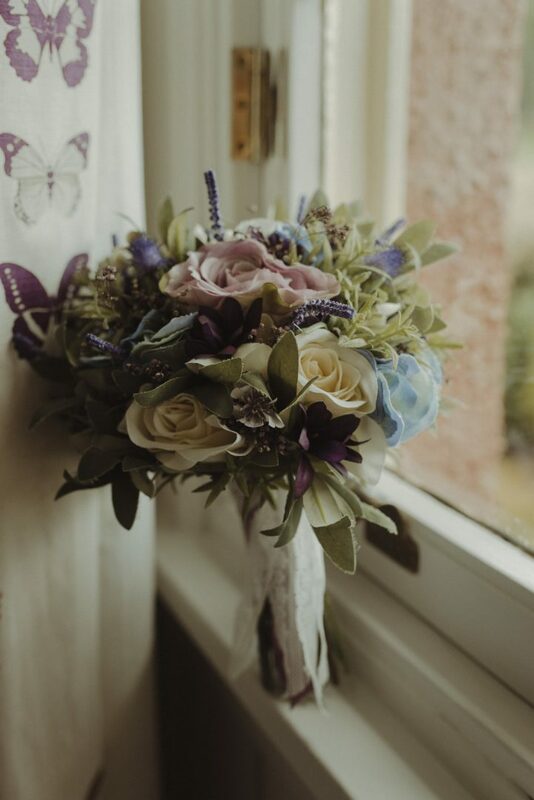 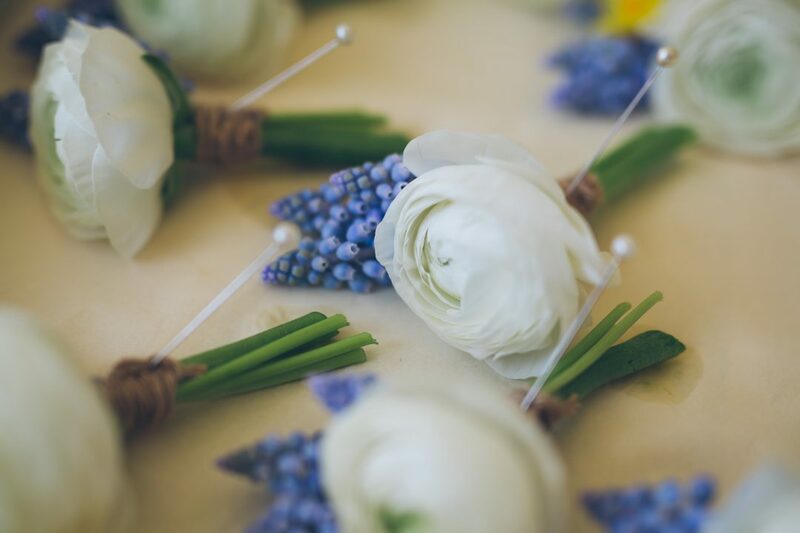 Three Isles Designs: gorgeous silk flower bouquets and buttonholes which you can keep forever. 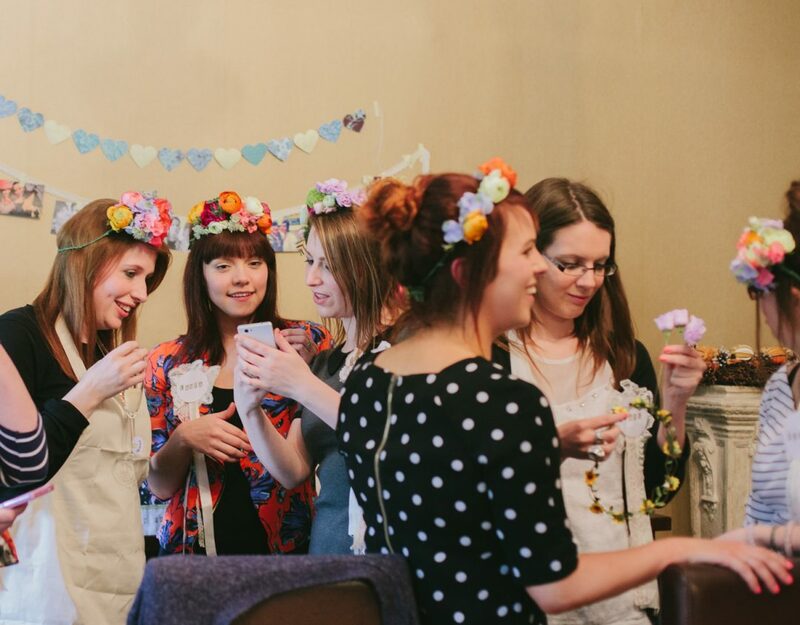 Beautiful, fun and on trend. 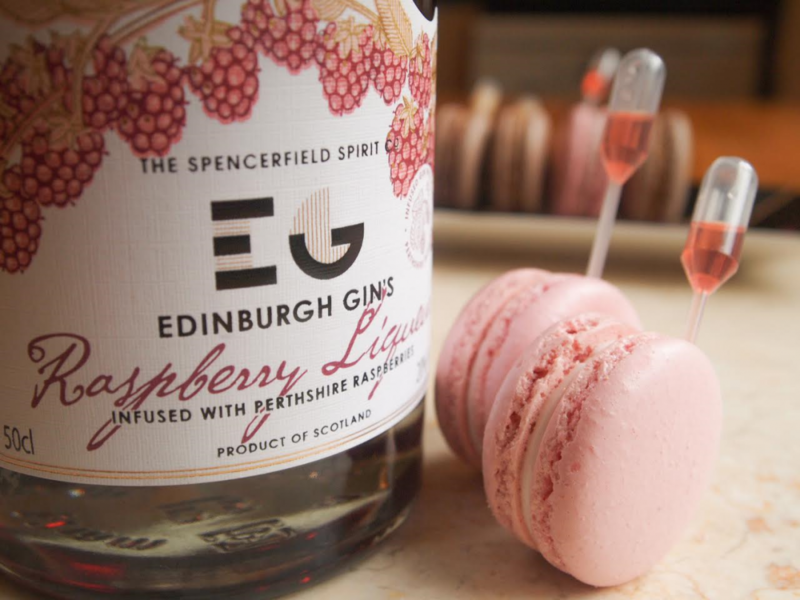 Macamoon: stunning macarons made in the Scottish Borders with colour palettes to fit with your scheme. 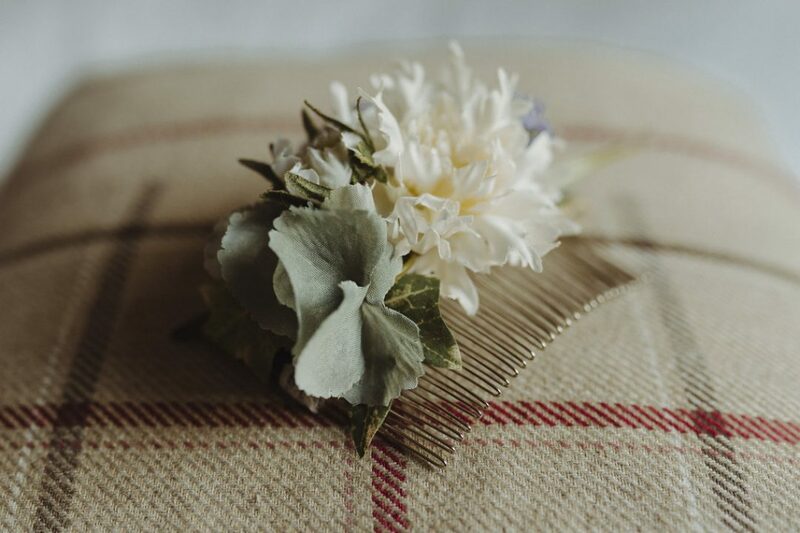 Sally Provan Millinery: Edinburgh-based Sally creates high end hats and head wear for brides, mothers-of-the-bride and guests. 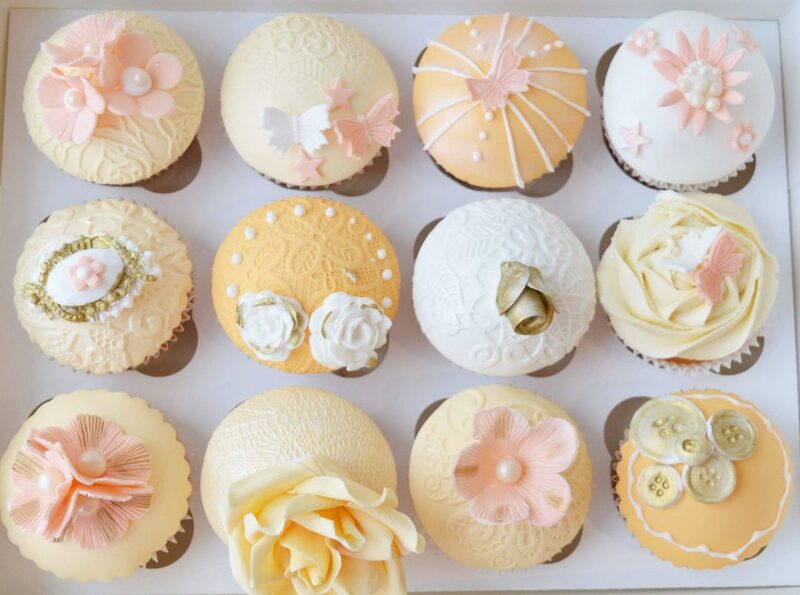 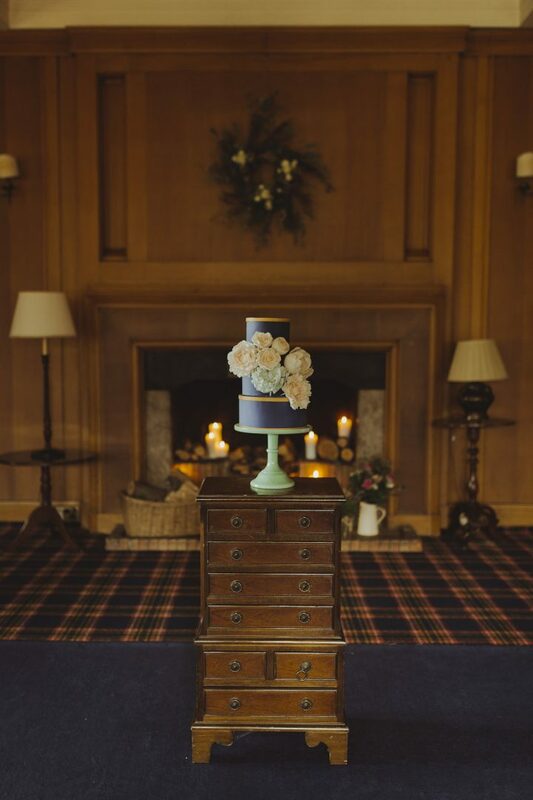 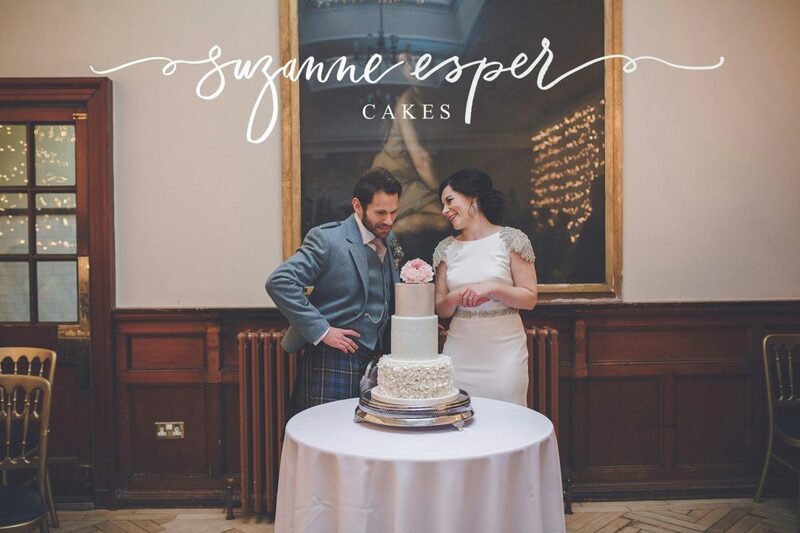 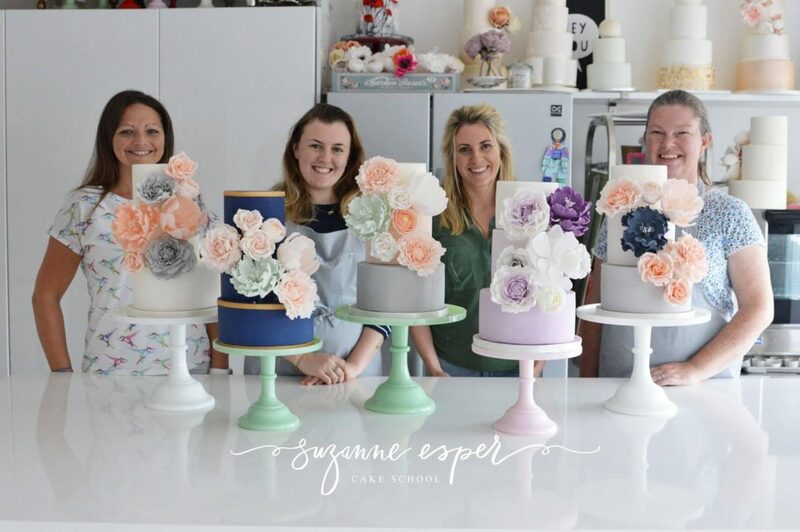 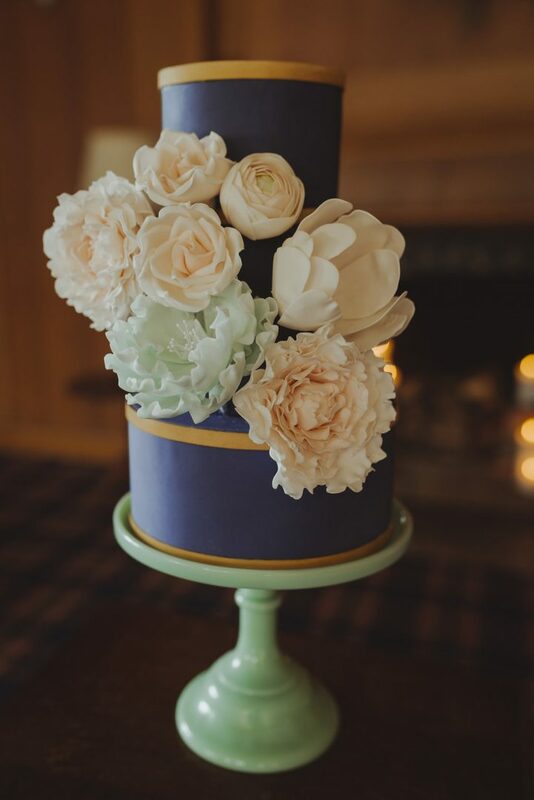 Suzanne Esper Cakes: contemporary, bespoke wedding cake design. 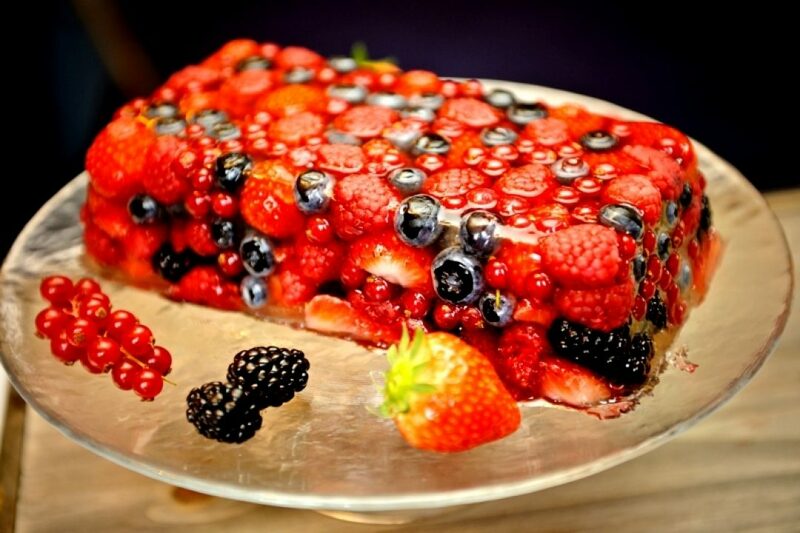 Show-stopping. 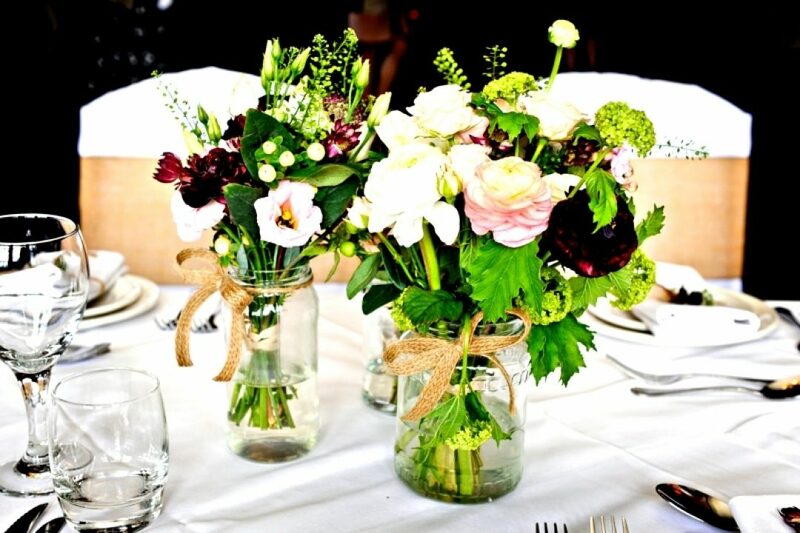 The Flower Room: Fiona is very talented and will create beautiful flowers to fit your brief. 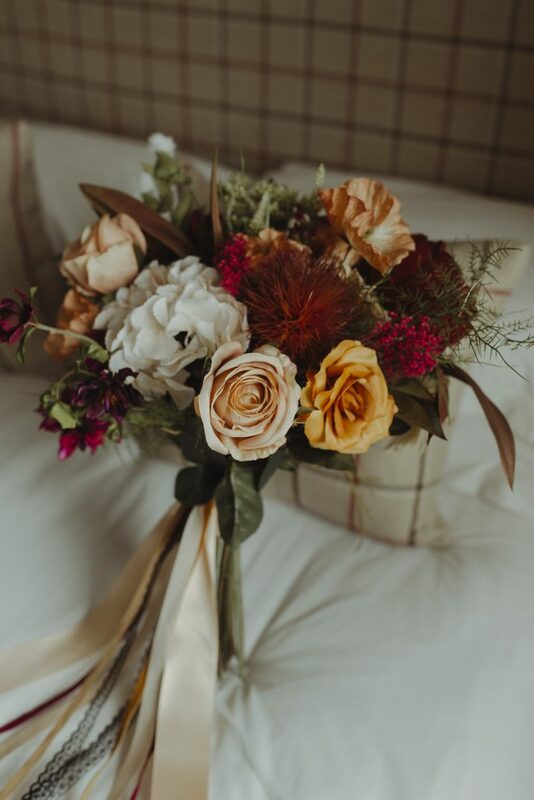 Alex Martin Photography: Alex is one of the most creative photographers around, her shots are gorgeous and she's a fun person to have nearby on your wedding day! 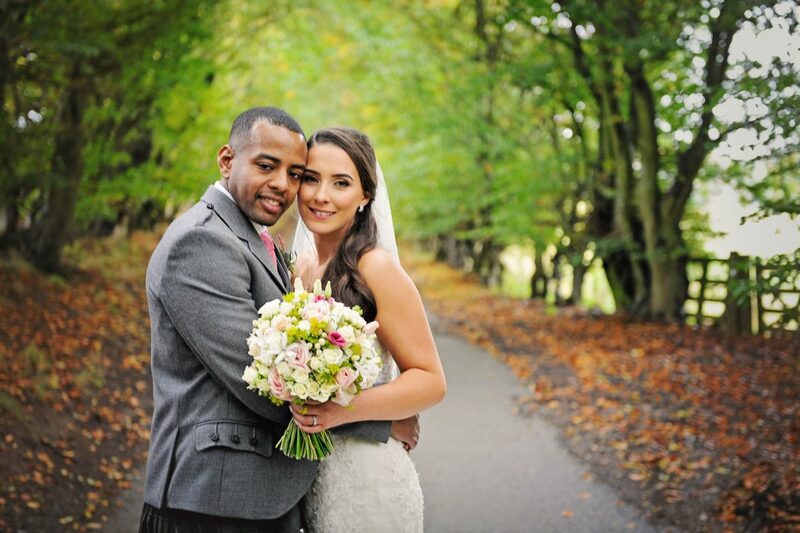 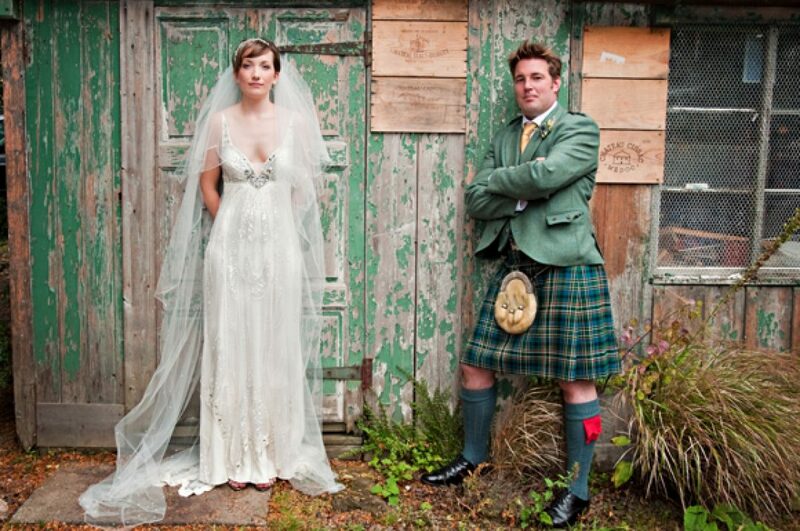 Jst Married: filmmaker of simply beautiful wedding videos and a thoroughly nice chap too. 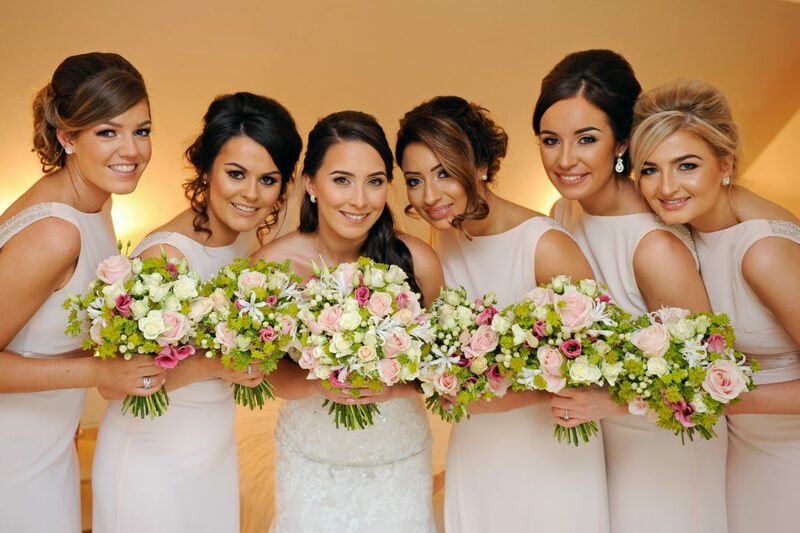 Circles Hair Make-up Beauty: professional hair and make-up artist, Helen, has tonnes of experience of bringing (even more) beauty to brides, models and actresses. 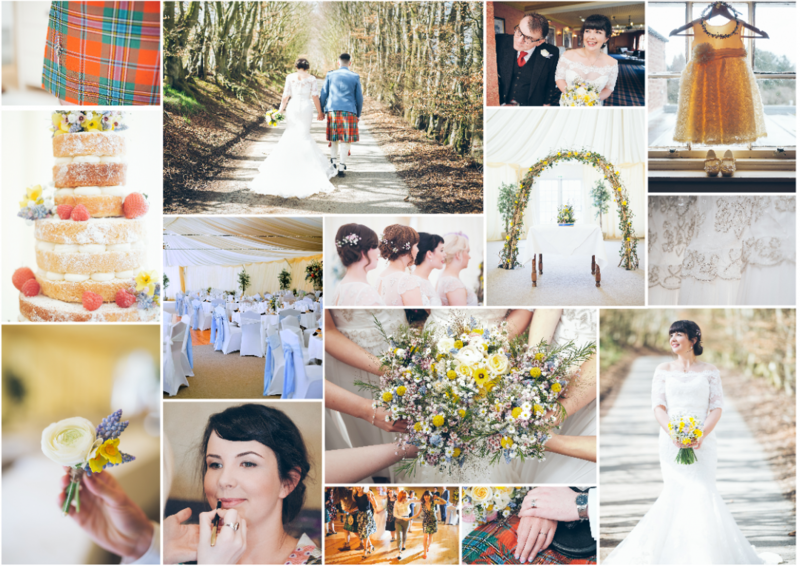 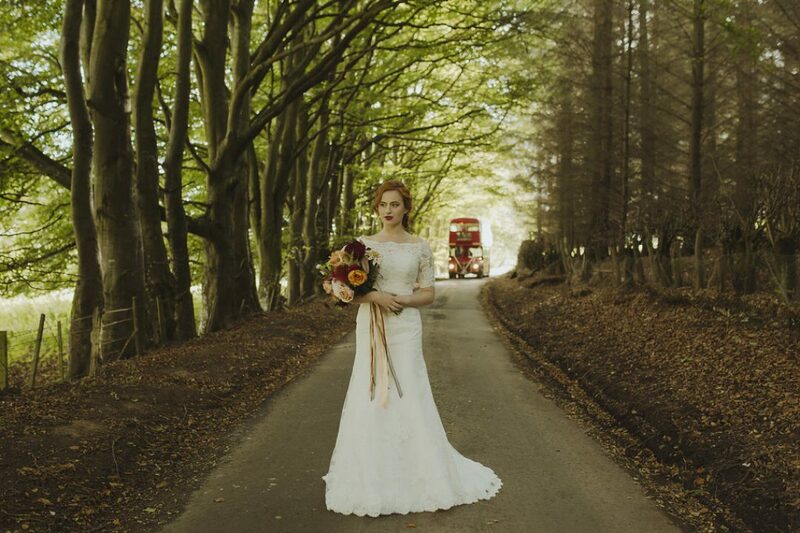 Ewen Forsyth Photography: one of the most experienced wedding photographers in Scotland, Ewen has won tonnes of awards with his unique style. 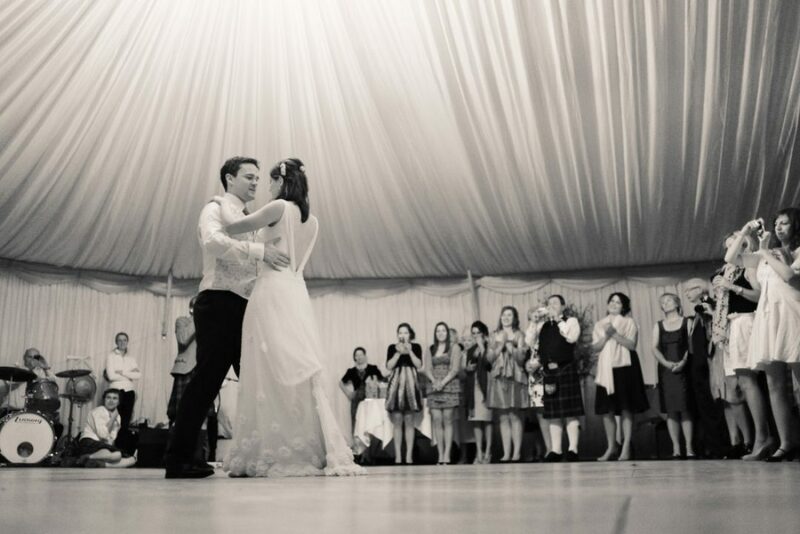 He is amazingly talented at capturing emotion and beautiful moments. 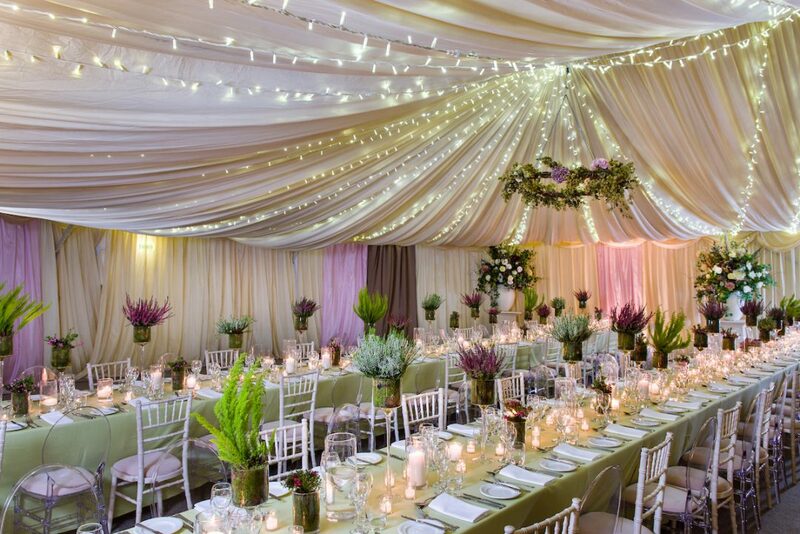 88 Events: stunning coloured linens in the marquee were provided by 88 Events. 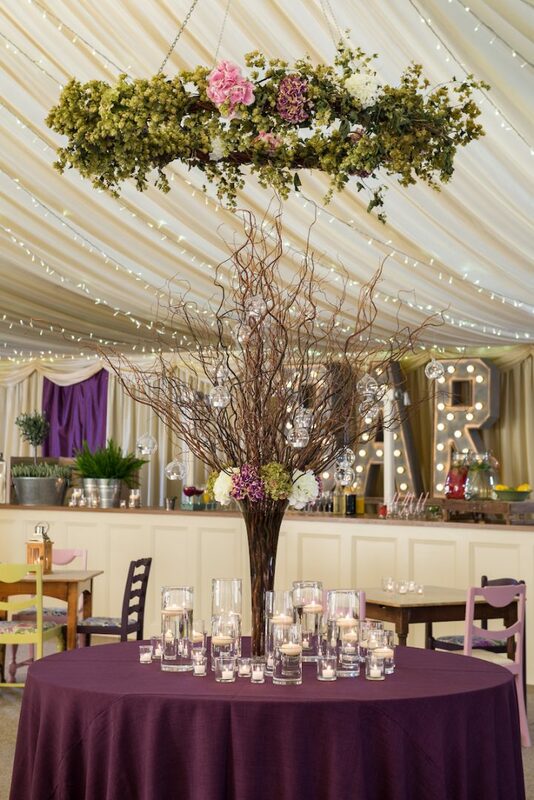 We had long tables dressed with pistachio Gelato cloths, and a bold entrance was made with a blackcurrant Gelato round table (styled by Get Knotted).